Evidence of spring is everywhere to be seen in the Lone Star State. This is absolutely my favorite time of the year as the state begins to yawn and stretch and to wake up after its long winter slumber, such as winter may be in Texas. The dull of winter is starting to give away to the most amazing palettes of color. 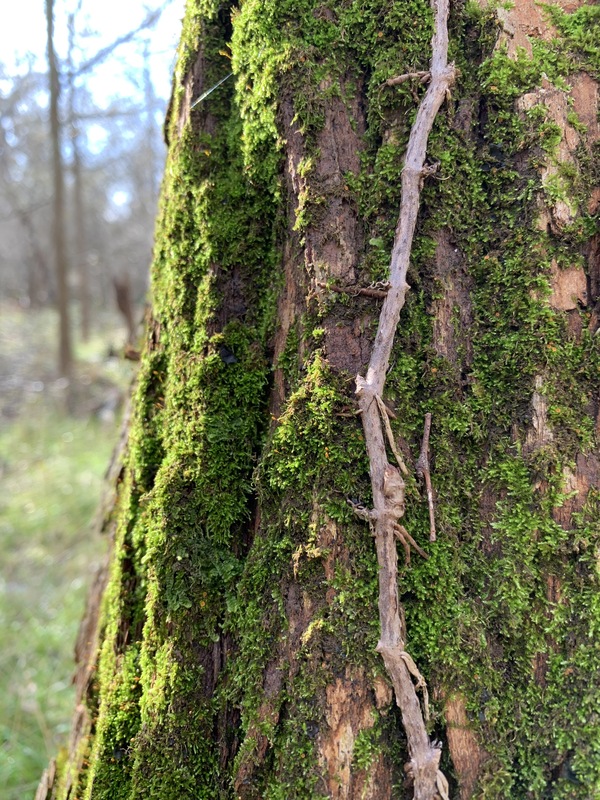 Trees are shedding their dull and shabby winter coats and putting on their finest greens. This is also the season when Texas rewards us with bouquets of bluebonnets and bunches of wildflowers. 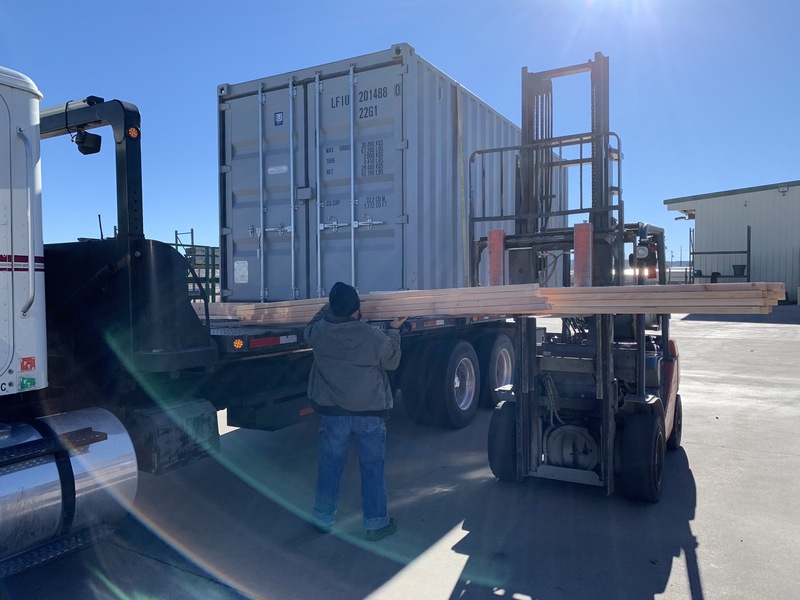 The signature of spring is scrawled across Texas — from the Panhandle to the Rio Grande Valley and from Houston to El Paso. 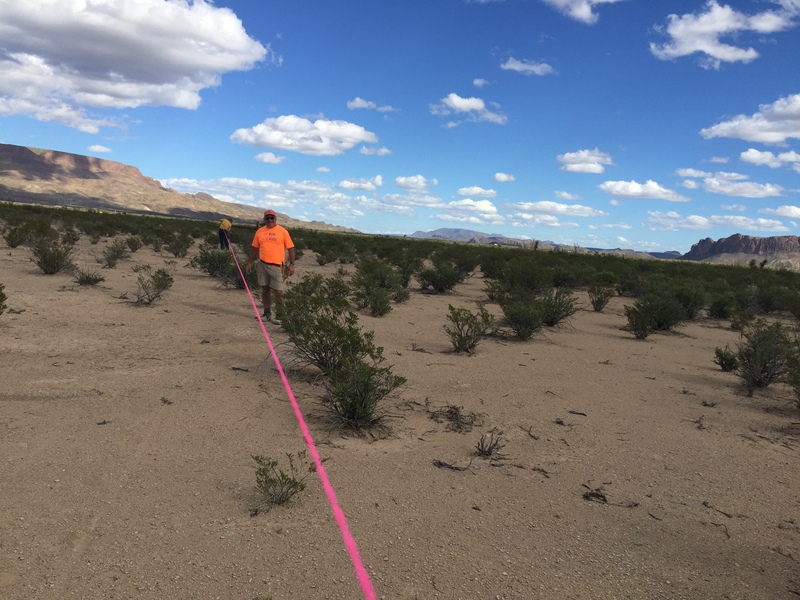 The vast Chihuahuan Desert in the Trans-pecos is no exception. 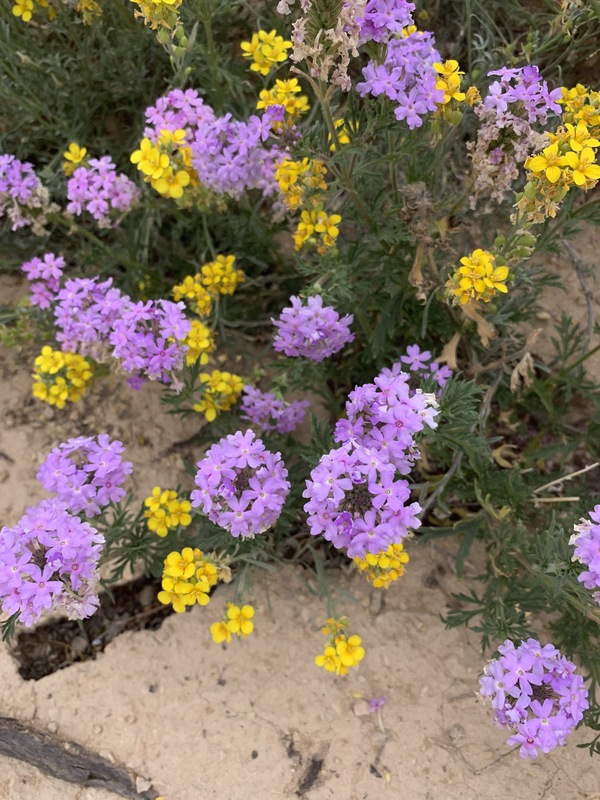 Even there you can see the most amazing colors as wildflowers make their brief debut among chaparral and cactus. 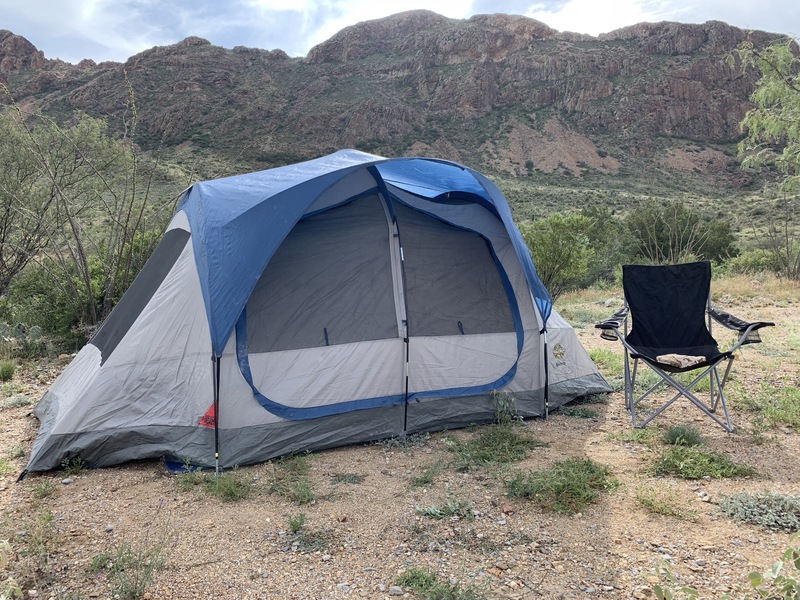 Our Spring-break road trip to our little place in the Big Bend Valley did not disappoint. 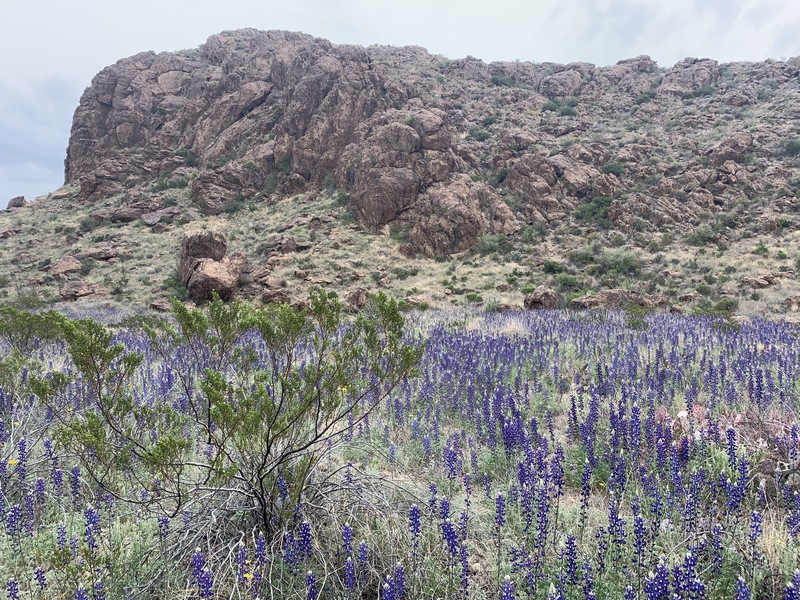 Of the five species of bluebonnets in Texas, Big Bend is home to lupinus havardii — the largest of the species. The Big Bend bluebonnet grows up to three feet tall and made a proud showing this year. 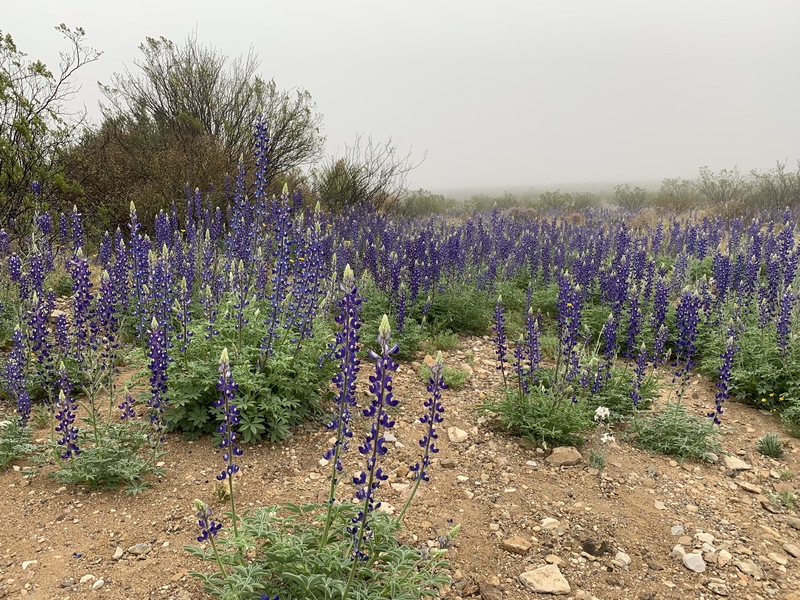 Highway 118 just north of Terlingua was flanked with the most amazing blankets of blue rising above swaying native grasses. For any true-blooded Texan, bluebonnets just do something inside of us — triggering a mixture of pride and awe and overall feeling of wow, just wow! In addition to bluebonnets, the desert was ablaze with all sorts of color. Desert marigold added its beautiful golden hue to the desert floor. 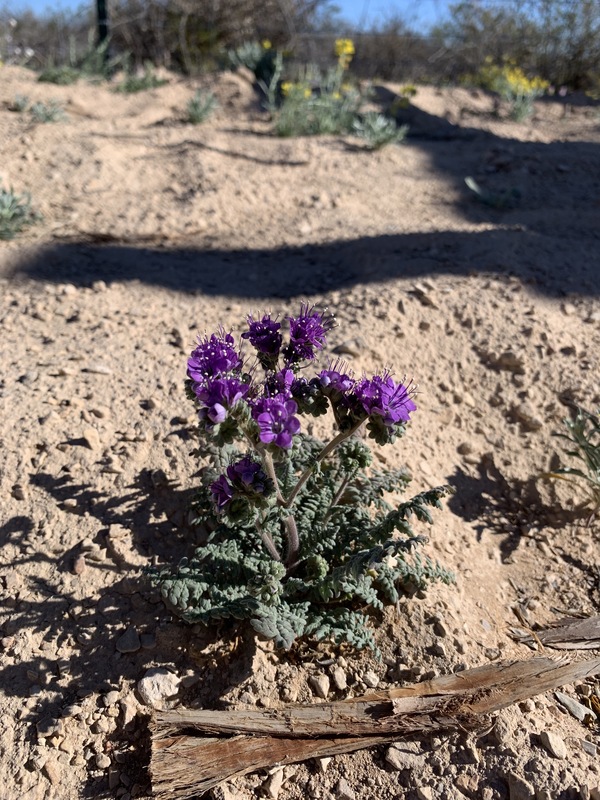 This desert beauty begins to flower in March and will continue to bloom off and on until November — a beautiful gift to an arid landscape. 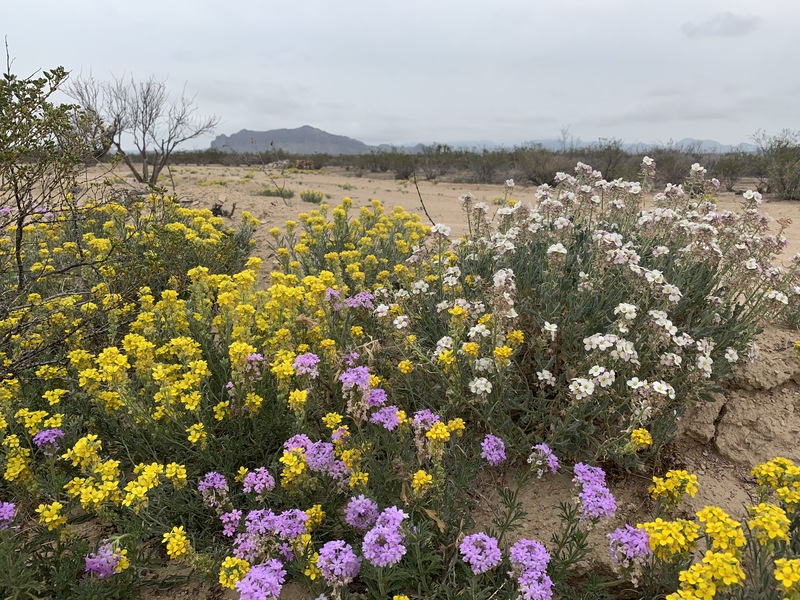 Clusters of other desert beauties, including the purple mock vervain, each contribute their respective beauty to the landscape. 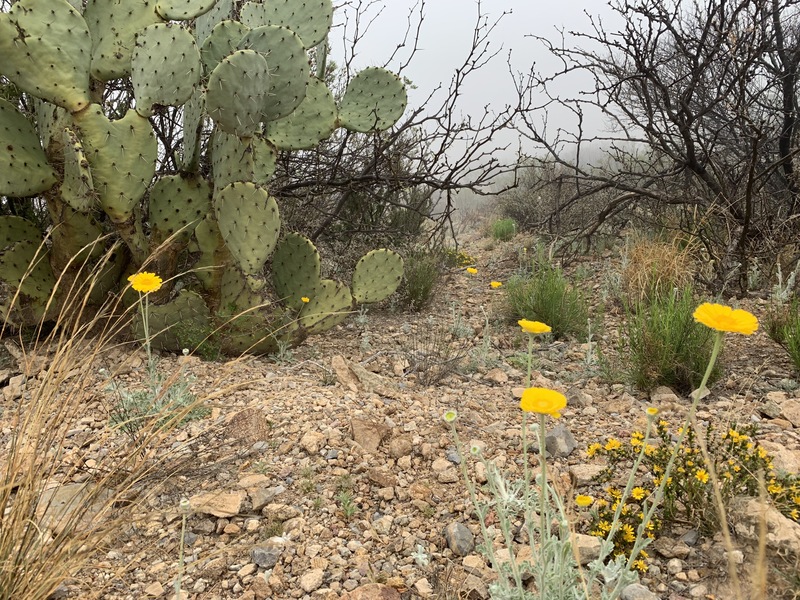 Moisture, the desert’s alarm clock, is all it takes to wake them up and get them dressed to make their colorful appearance. There is something soothing about wildflowers. They are good for the soul. Like old friends who happen along at just the right time, wildflowers can make us smile and just feel good about being alive. 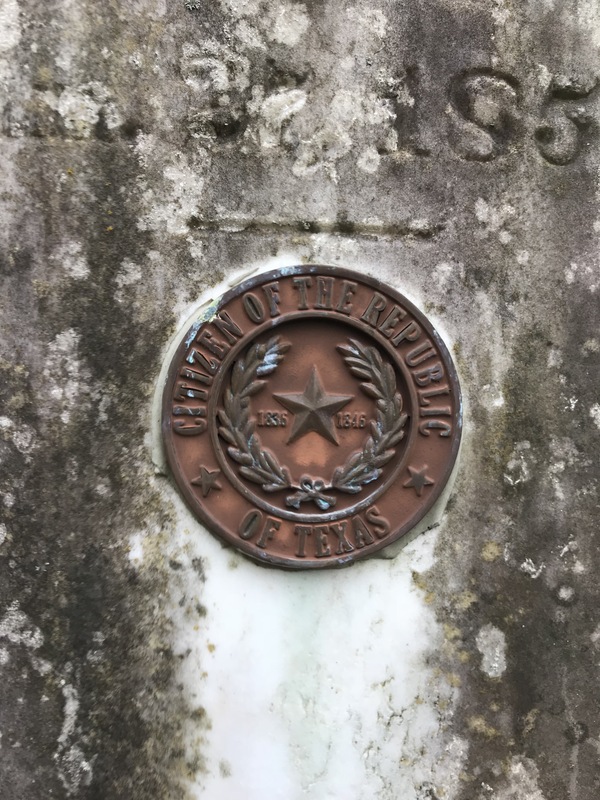 So, if you have not yet ventured out to enjoy your part of Texas, make sure that you do so as soon as possible. Enjoy the bluebonnets and the colors that make Texas even more amazing in the springtime. There is indeed something therapeutic about taking a dirt path. Dirt paths give us access to vistas that most folks who opt to live life on tarmac never see. 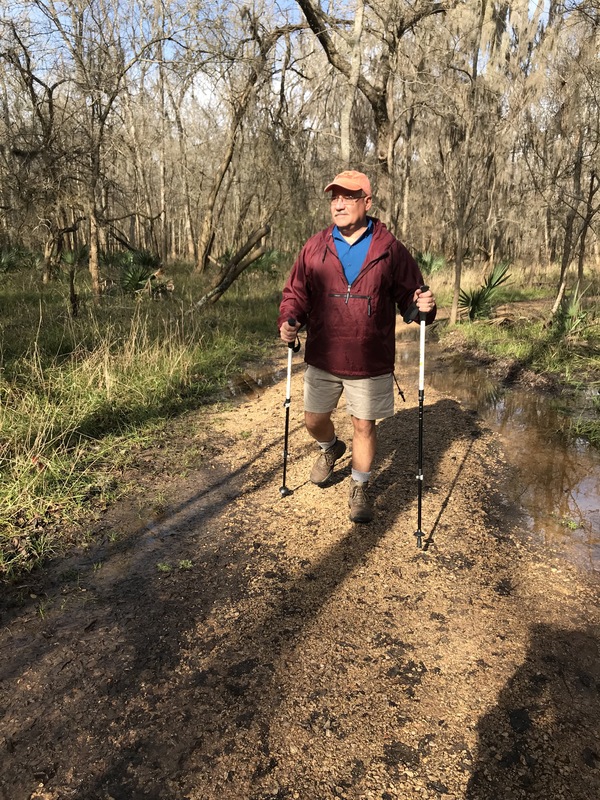 Those of us who live in the Lone Star State are fortunate to have 95 state parks — each with their respective dirt paths. 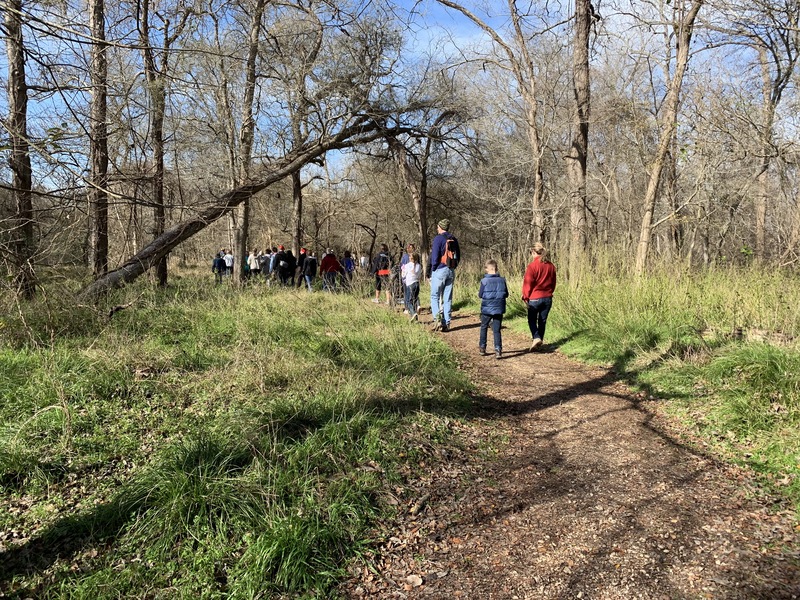 Today, my wife Cheryl and I participated in one of the many First Day Hikes offered by the Texas Parks and Wildlife folks. 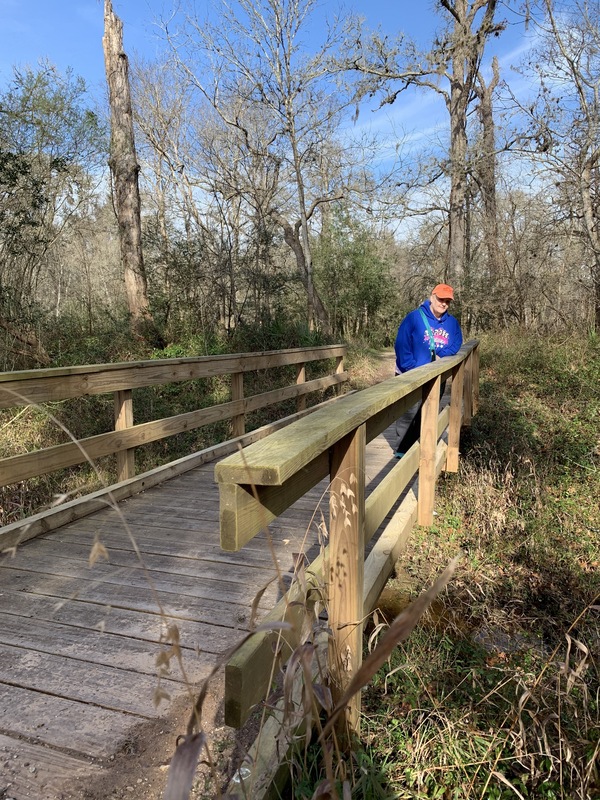 This year we chose to hike at Stephen F. Austin State Park just thirty-minutes west of our home in Katy. This is one of my favorite parks for hiking and biking. 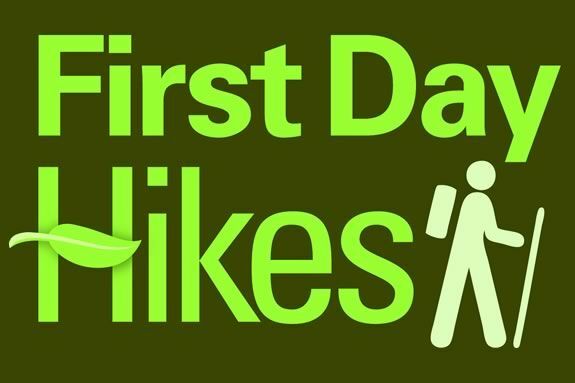 The First Day Hikes program is a cooperative initiative among the nation’s state parks to get more people outside. Since its inception a few years ago, thousands of people across the United States have logged tens of thousands of miles on park trails. Cheryl and I spent the morning strolling down trails at Stephen F. Austin. Cheryl is a Texas Master Naturalist, so we stopped a lot to look at and to talk about the flora along the trails. We also enjoyed looking at white tail deer and other wildlife. I learn something every time we hike together. Our walk reminded me of something David Henry Thoreau said: “An early-morning walk is a blessing for the whole day” — and indeed it was. Taking dirt paths has therapeutic value. New research is showing that exposure to natural environments actually improves physical and emotional health. I believe it. I always feel better in every way after a good long trek through the woods. As you look to the year ahead, make sure to schedule some time to walk down a dirt path. When you do so, make sure that you walk slowly, listen carefully, observe intentionally, and breathe deeply. Take my word for it, the walk will do you a lot of good — probably more than you may realize. 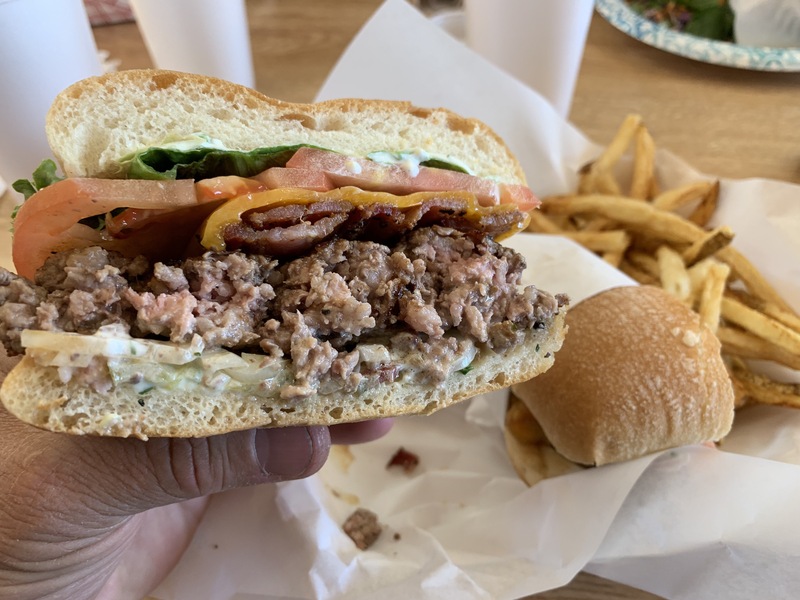 Ever on the search for the next good burger, my hunger intersected with Junction on my last road trip. There was no way I was going to drive another hour or even half-hour for lunch. I was hungry and my stomach insisted I stop at the nearest burger joint. So, I consulted my phone and learned I was within minutes of the Junction Burger Company. Problem solved. That’s where I would eat lunch. 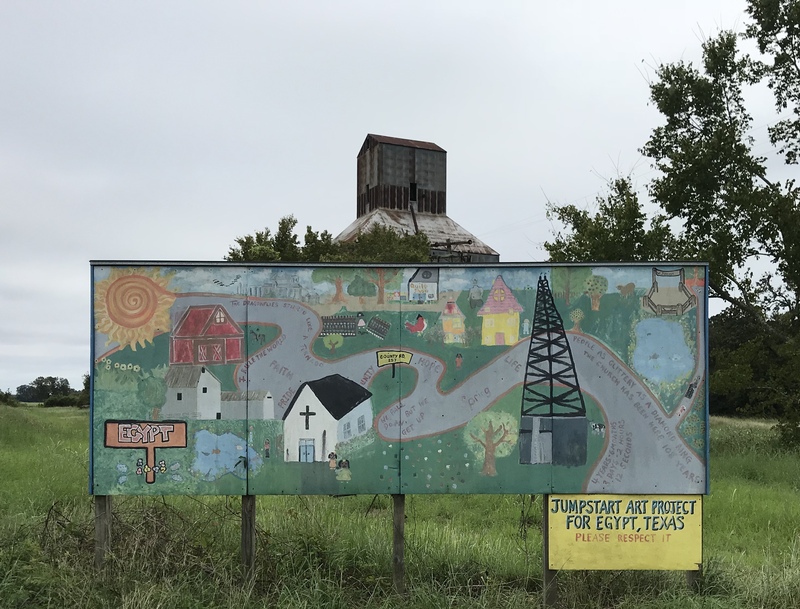 Junction is a cool little town located west of San Antonio along Interstate 10. 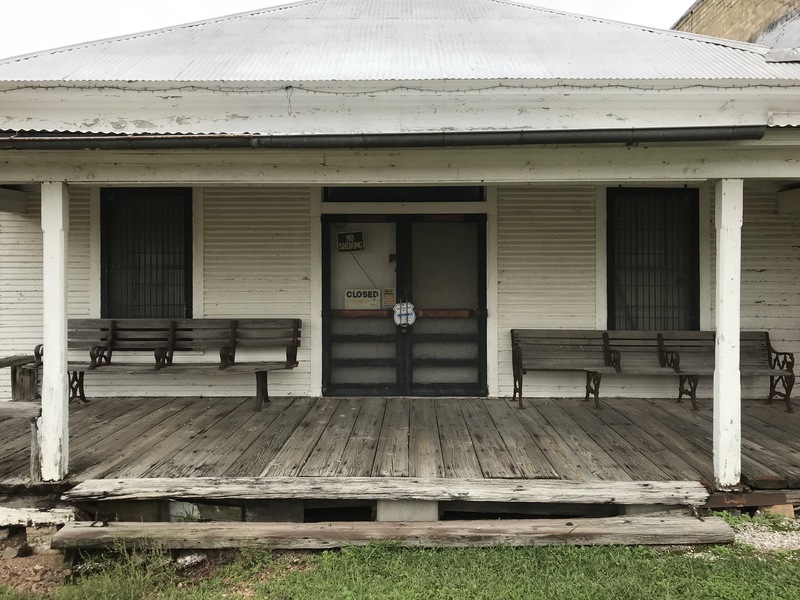 It sits among some of the most beautiful scenery in the Texas Hill Country. 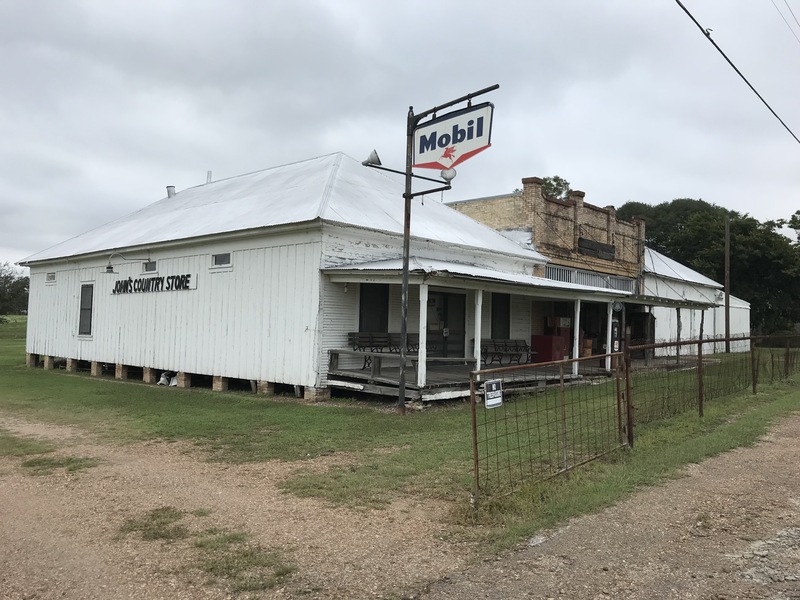 Founded in 1876, the town was named Junction for its location at the confluence of the North and South Llano Rivers. Today, it is regarded as one of the state’s leading deer-hunting counties. 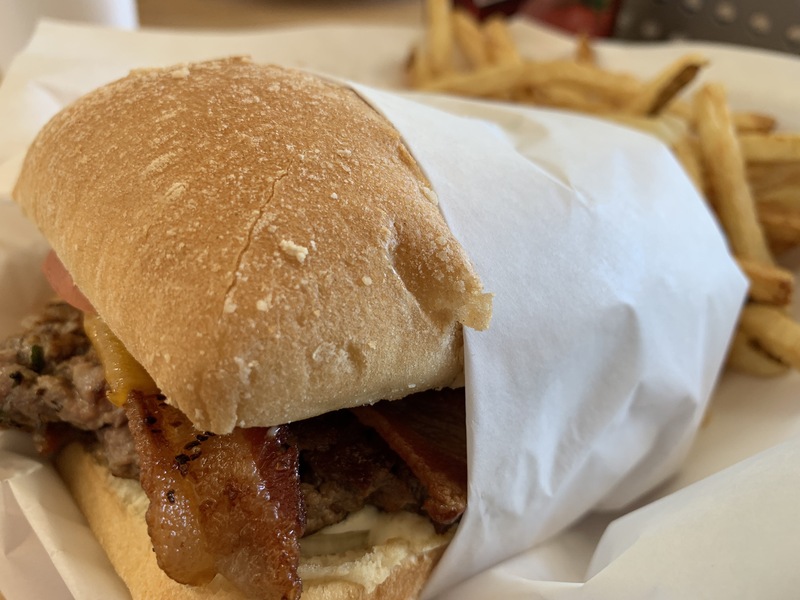 The Junction Burger Company was easy to find — located in a modest boxy building on Main Street just a short distance south of the interstate. I always get excited when I pull into a new burger joint. With my stomach growling, I was more than ready to chow down on a juicy burger. Although the Heart Attack Burger was tempting, I opted for my usual bacon cheeseburger and a side of french fries. This time I ordered a cold root beer instead of tea. I was so hungry and really wanted for this burger to be good — no, better than good! Well, suffice it to say that Junction Burger came through. Not only was my burger good, it was better than better than good. The crumbly patty was cooked to perfection, the bun was delicious and moist, the bacon was crispy. What more could a hungry man ask for? This burger did not disappoint. In fact, I regard to as one of the tastier burgers I have eaten since I started my Lone Star burger adventures. I know that there are easier and quicker options to sate my appetite when on a Texas road trip. But it’s not about quick. It’s about the adventure of discovering another good burger eatery. 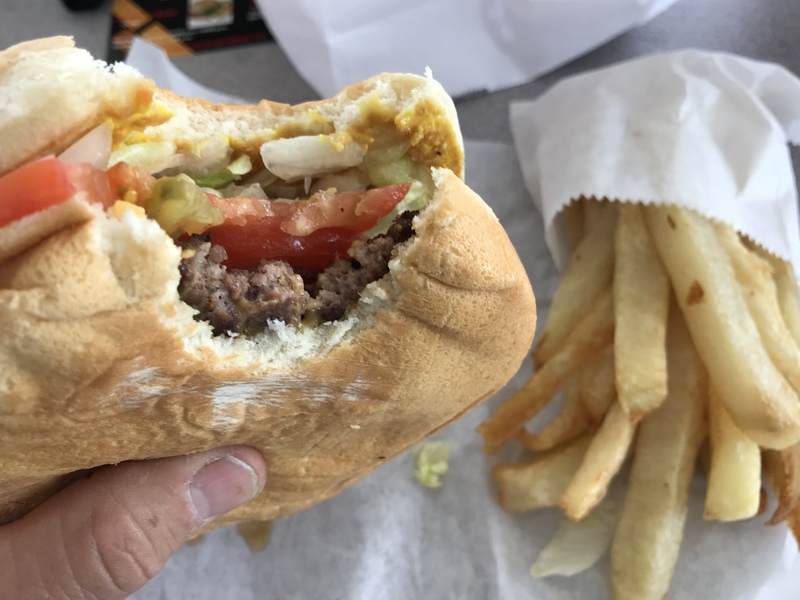 It’s about meeting hometown folks who take great pride in making a delicious burger. And it’s about adding a measure of quality to a road trip that makes the journey from here to there all the more enjoyable. 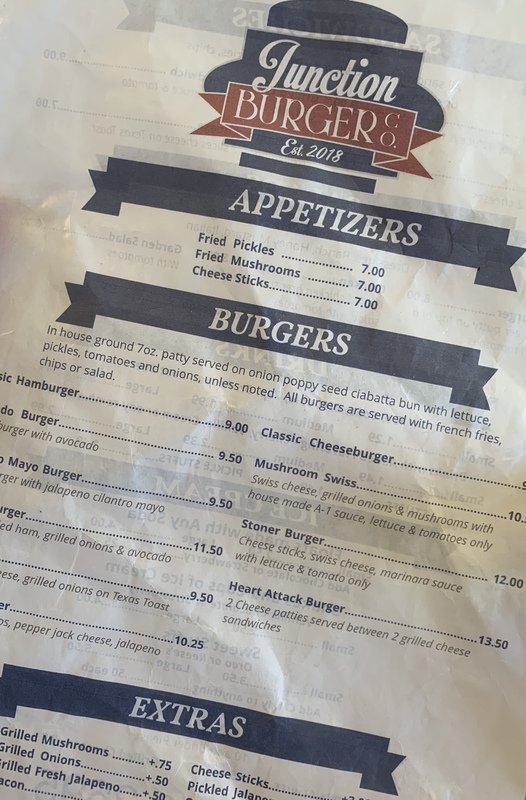 Bottom line — my experience at Junction Burger Company was good, really good. There is no doubt in my mind that this is a burger joint I will visit again. 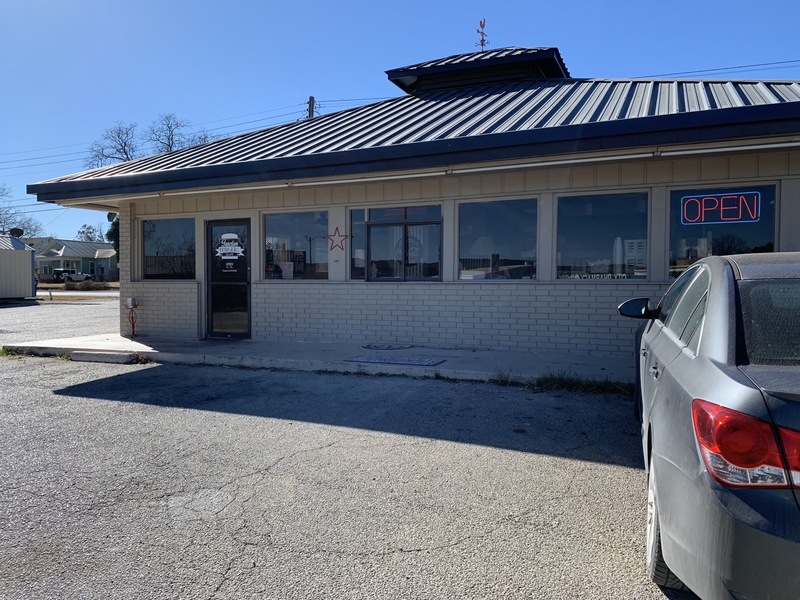 I hope that if your travels take you anywhere near Junction you will stop by and check out Junction Burger for yourself. I think you and your taste buds will agree that you made the right choice. By now, those of you who follow my blog are familiar with Dos Arbolitos. 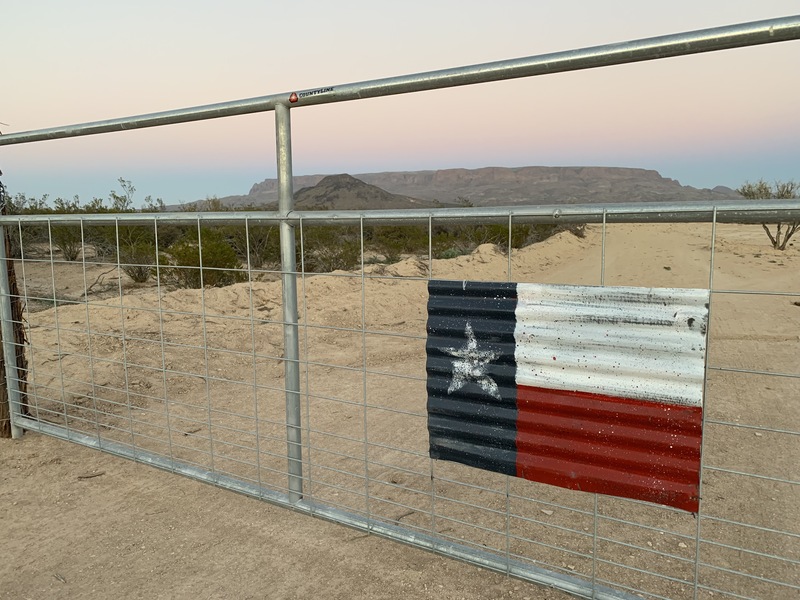 That’s the name my wife and I gave to our little tract of land in the Big Bend Valley section of Terlingua Ranch. It’s really too small to be called a ranch or even a ranchette for that matter. But to us, it’s our small slice of heaven on earth. Purchased less than a year ago, we have made every ten-hour drive from our home in Katy to Dos Arbolitos count. 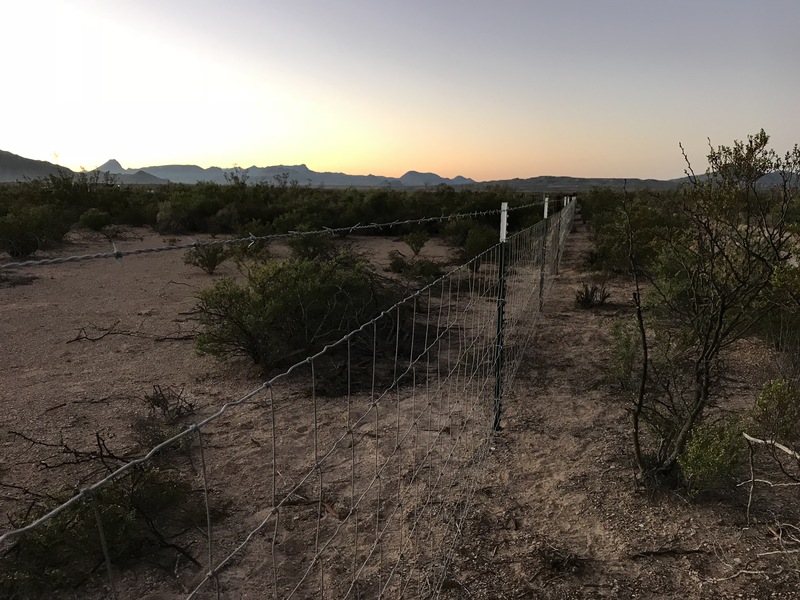 This month my fencing friends and I made the trek to far west Texas with our supply laden trailer in tow to finish fencing Dos Arbolitos. 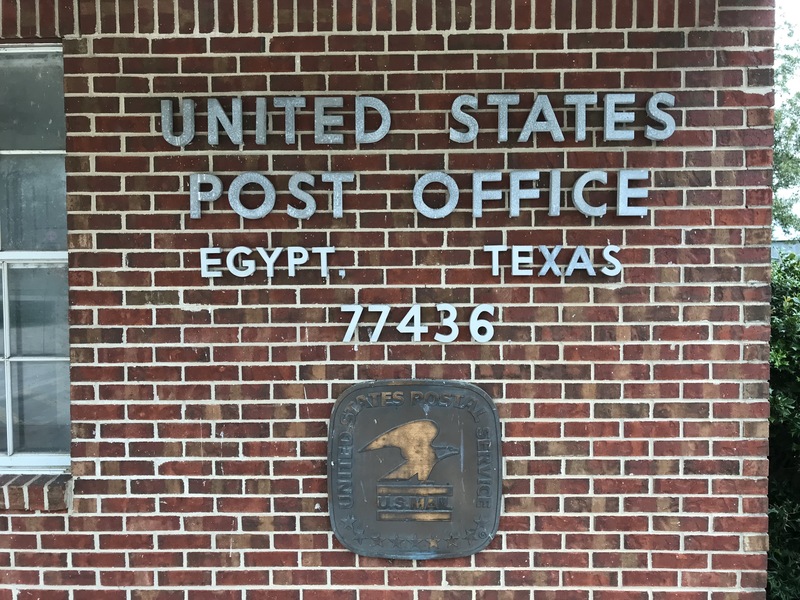 We departed Katy at 2:00 AM and arrived at the front gate before noon. We wasted no time because we only had a day and a half to get the job done. So, we set up camp and then each took ownership of specific tasks and got to work. 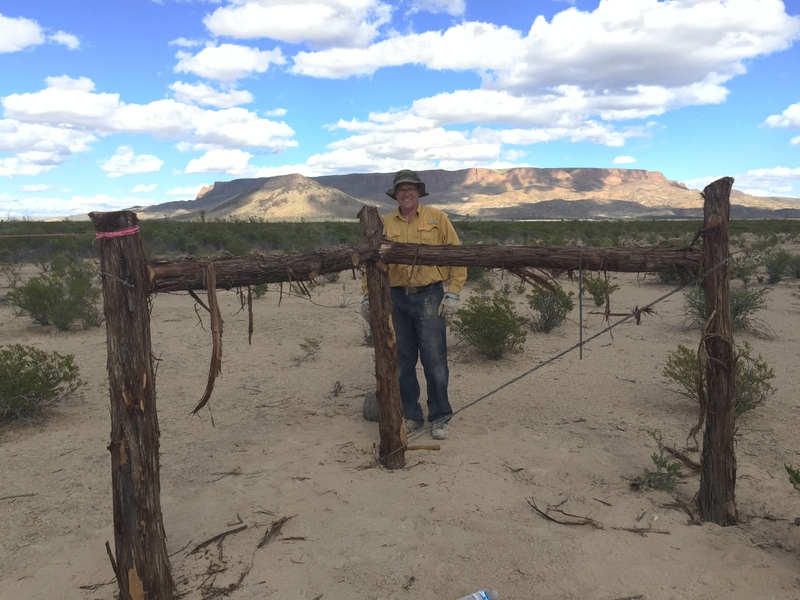 My wife Cheryl and I had put in all but four of the remaining cedar posts on our trip to Dos Arbolitos in November. 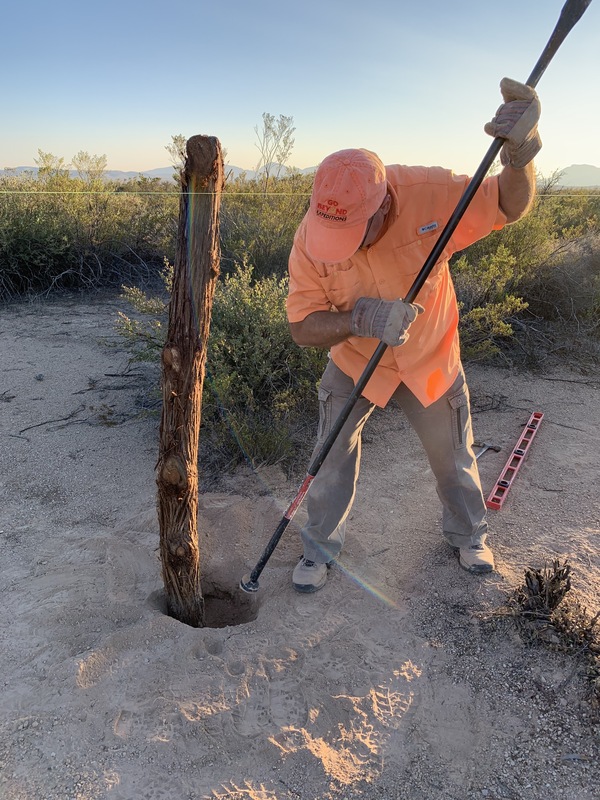 Our first order of business was to put in the remaining cedar posts as well as almost a hundred t-posts. Pounding in t-posts and keeping them straight is a task in and of itself. But, we got it done. Between the cedar posts and t-posts, the fence will have good bones and should easily outlast my lifetime. 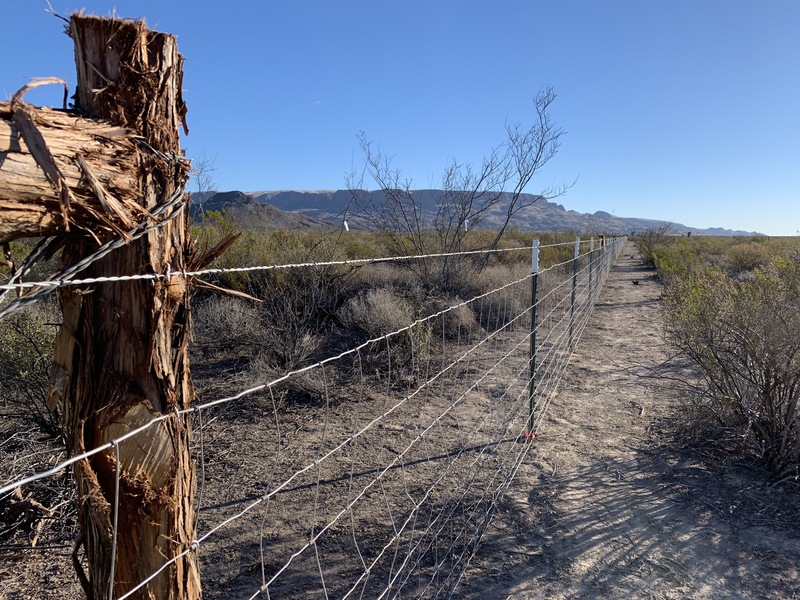 Once we finished pounding in the t-posts, we stretched several 330-foot rolls of welded wire fencing. As I noted in a previous post, our intent is not to keep anything in but rather to keep any pesky critters on the other side of the fence. We then topped the welded wire with a single strand of barbed wire. Fortunately, the weather was amazing. 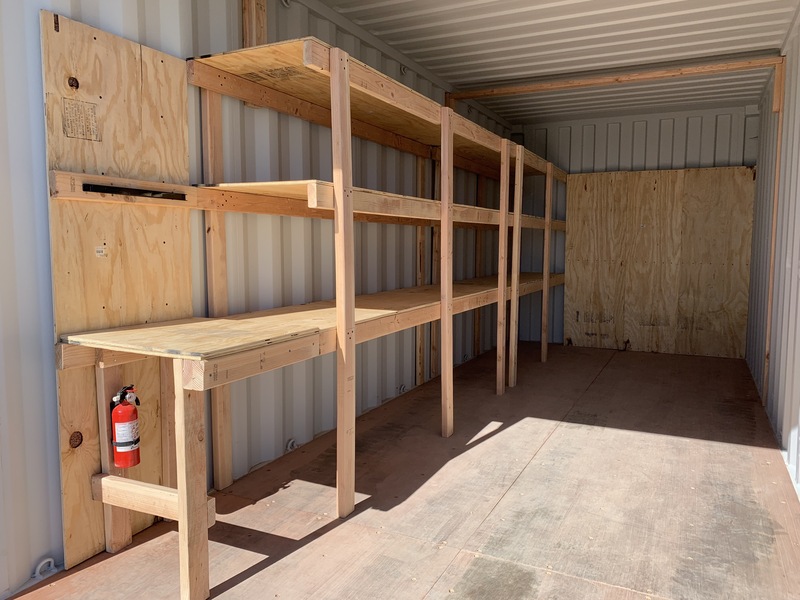 With forty-degree nights and seventy-degree days, we worked long hours with no problems. 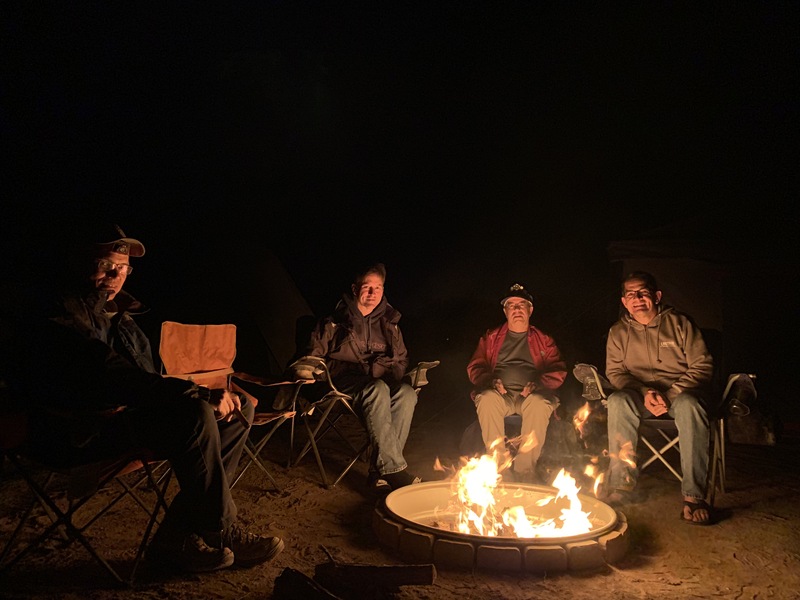 One of the best things about this final fencing trek was sitting around the campfire in the evenings. The night sky in Big Bend is indescribably beautiful. We mostly sat quiet and watched the flames dance under the Milky Way. 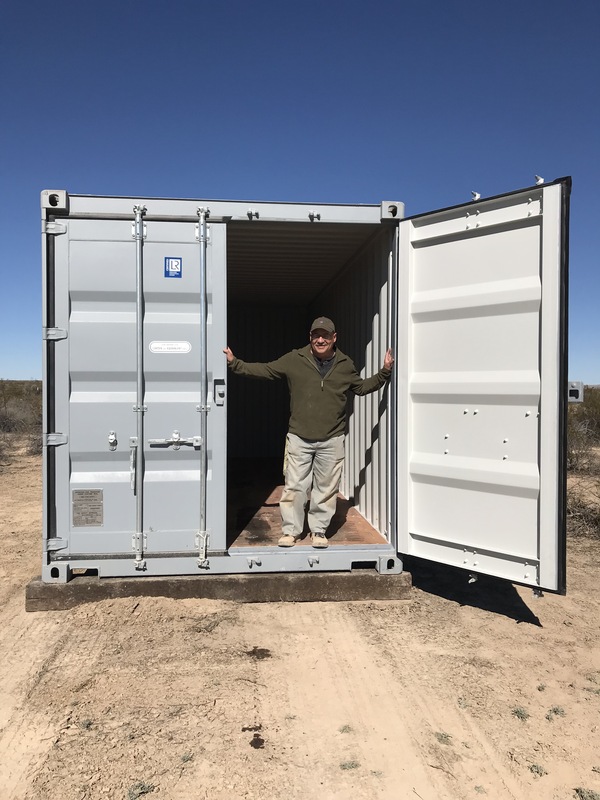 With the fencing completed, I am now turning my attention to some type of storage unit for the tools we need to keep at the property. It will be exciting to watch this next phase unfold. 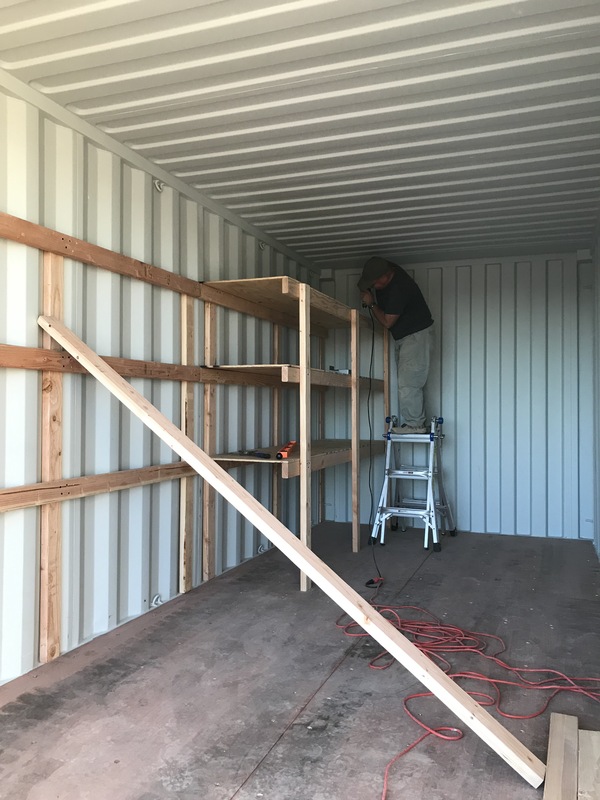 At this time I don’t know if we will purchase a unit or build one from scratch. Still researching and looking at the most cost-effective options. Our little sub-ranchette has already become a fun getaway destination. Cheryl and I are excited about watching this dream become reality. We are enjoying the journey. We know it will take time for all of this to happen but, in the meantime, we are having the time of our lives. We find ourselves talking a lot about the place and bouncing ideas off each other. Thanks for following our adventure as our Dos Arbolitos story slowly unfolds. It will be fun to look back years from now and reflect on the journey. We want to make sure that we make lots of good memories that we will enjoy for a lifetime. 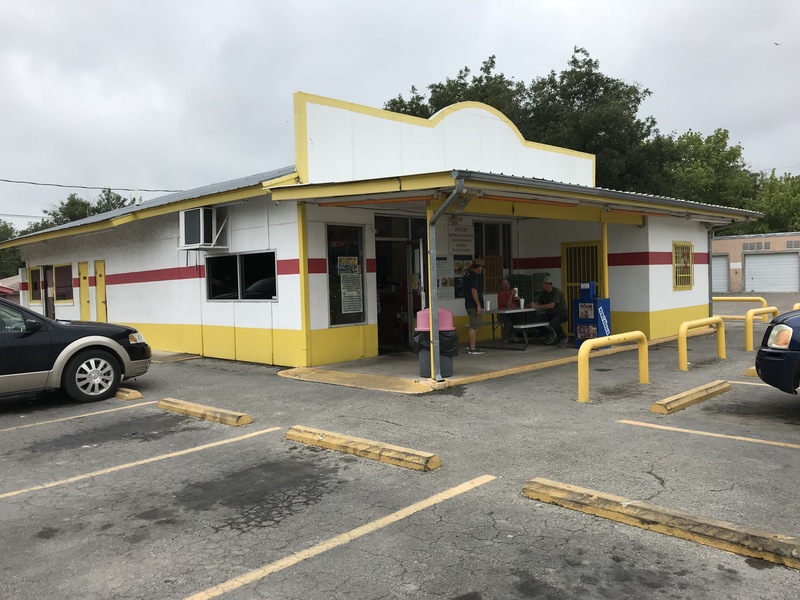 When it comes to finding a delicious burger, I am drawn to places that have been around for a while — in buildings that show the wear and tear caused by lots of local customers. 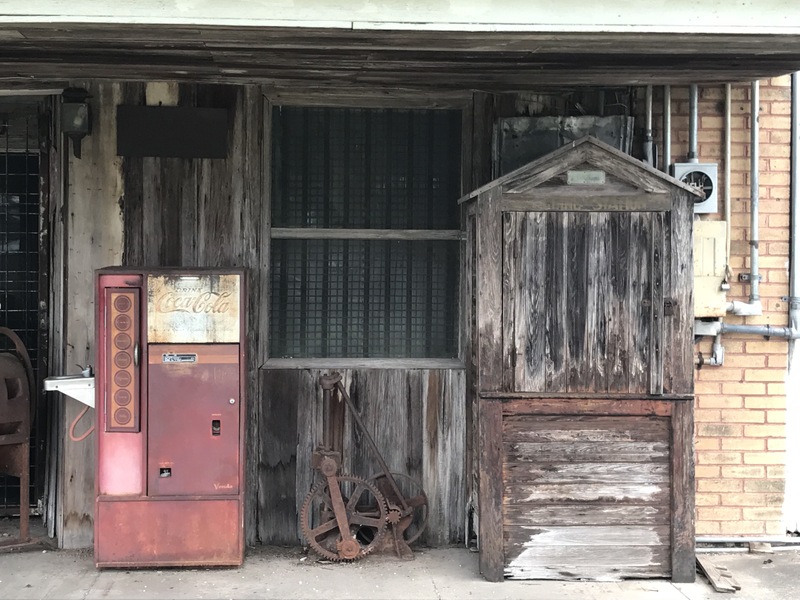 Neighborhood eateries that have passed the test of time are the best. They have survived because they serve consistently good food. 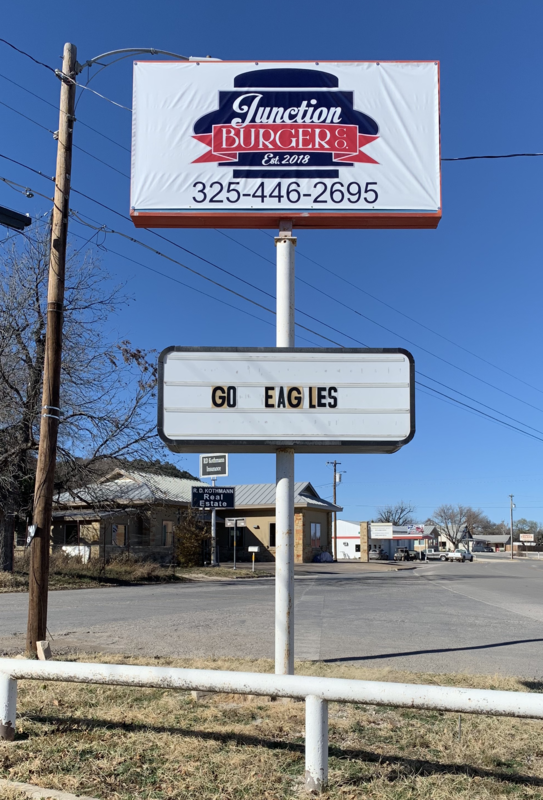 While traveling home from far west Texas, I found just such a place in Del Rio. 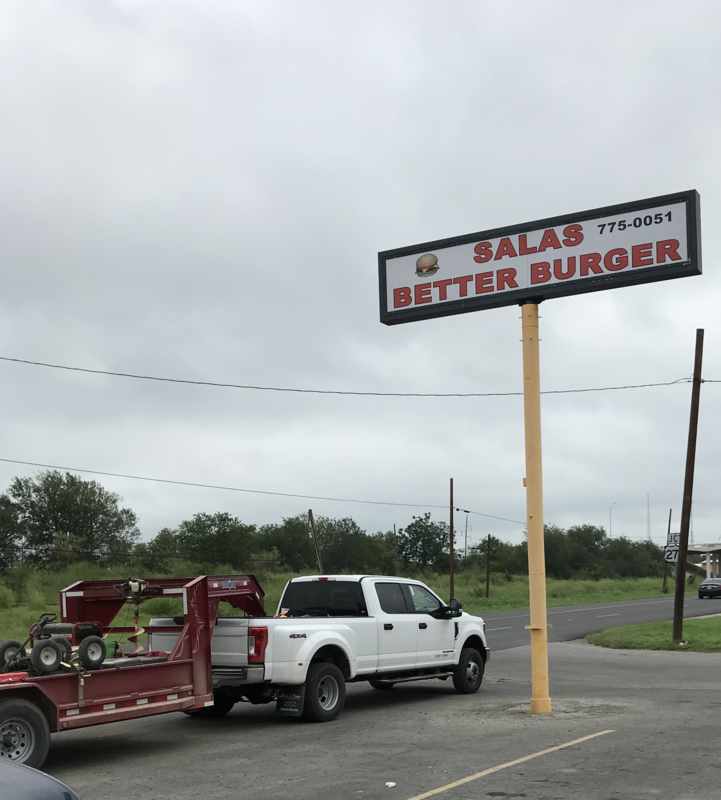 Salas Better Burger is just slightly off the beaten path. 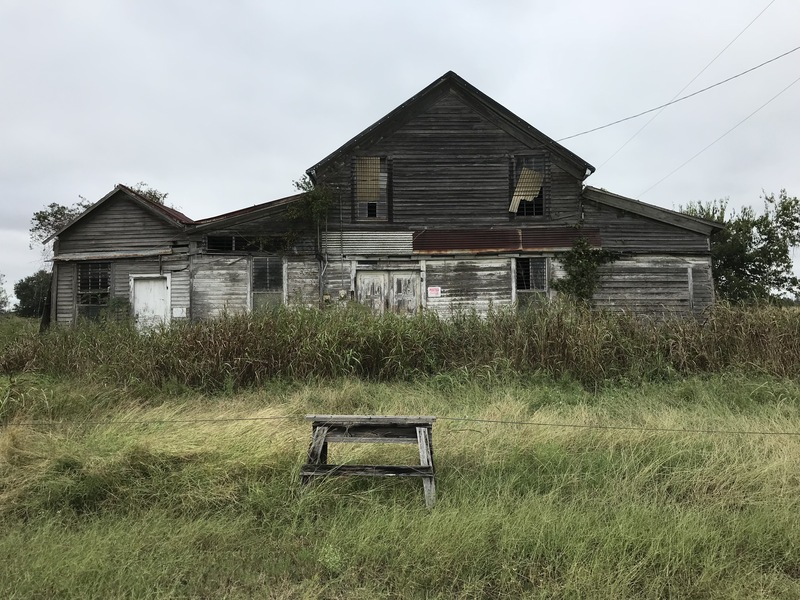 Housed in a modest box of a building in the middle of a worn-out parking lot, a steady stream of neighborhood patrons flowed in and out the door. 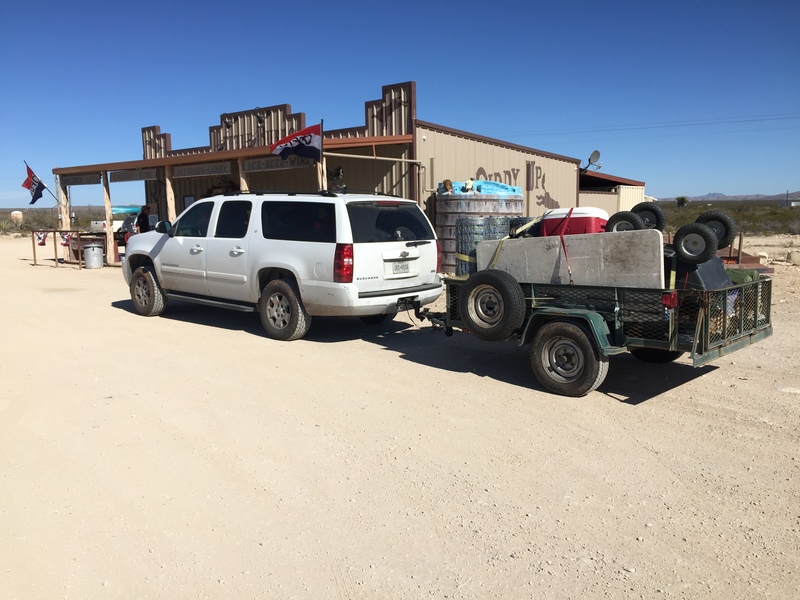 Located some 150-miles west of San Antonio on Highway 90, Del Rio is situated just north of the Rio Grande River. Its sister town of Ciuad Acuña is located on the Mexican side of the border. 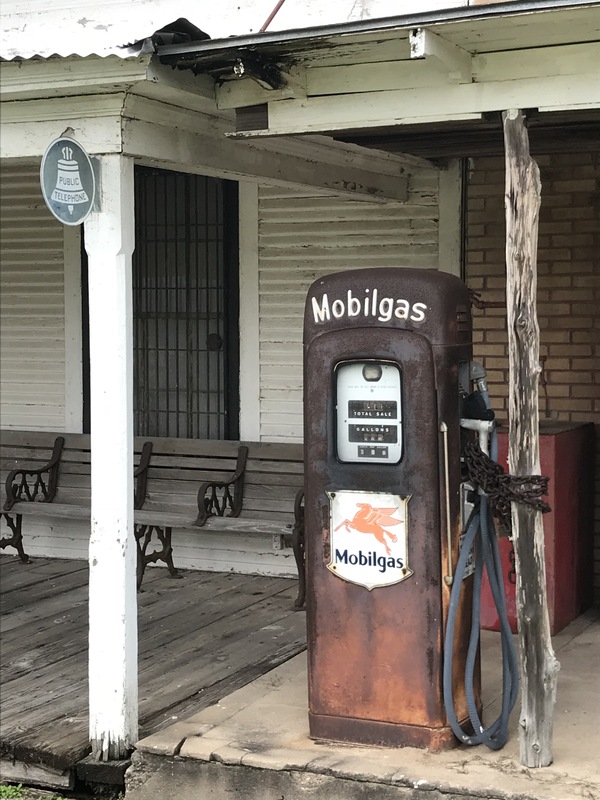 Visitors come here to enjoy time on Lake Amistad, the third largest lake in Texas, to see the amazing petroglyphs at Seminole Canyon State Park, or to enjoy other outdoor pursuits. Salas is an unpretentious place that has perfected their burger making. 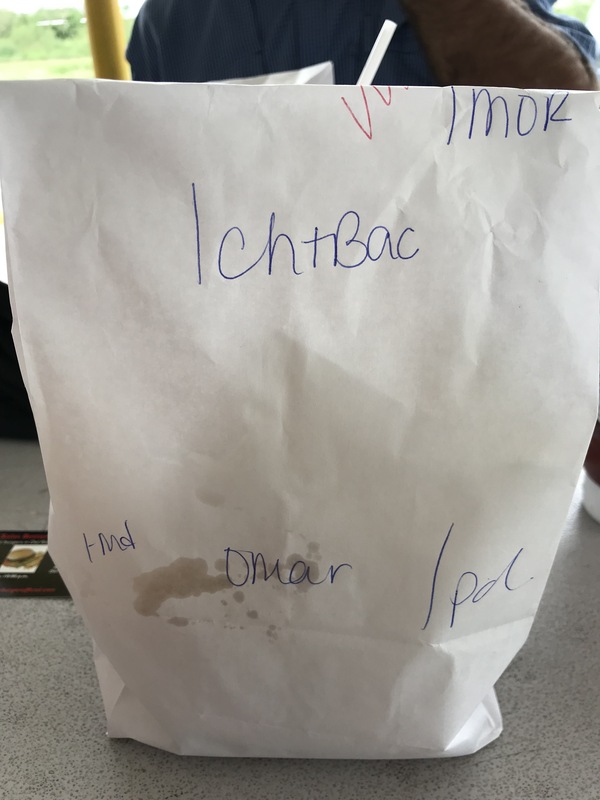 Look up to see the menu, place your order, and wait for the staff to call your name and hand you your order in a white paper sack. It’s that easy. I ordered my usual bacon cheeseburger with a side of fries and iced tea. My buddies and I sat at one of the picnic tables out front because all of the tables inside were taken. No problem. We were all starving. And having just spent a few days in tents, eating at a picnic table was actually an upgrade for us. My burger was tasty. Really delicious. I was happy about that. I was not there to eat some fancy gourmet burger, just a burger that lived up to the advert on the sign — a better burger. And this burger lived up to the promise. The fries were pretty delicious as well. I like places like Salas － places whose cooks are as seasoned as the grill and who deliver on their promises. Better burgers are made by folks who actually care about what they do. That’s why Salas has been around for so many years and will likely stay around for many more. If you find yourself anywhere near Del Rio at lunchtime, make your way over to Salas and enjoy a better burger. 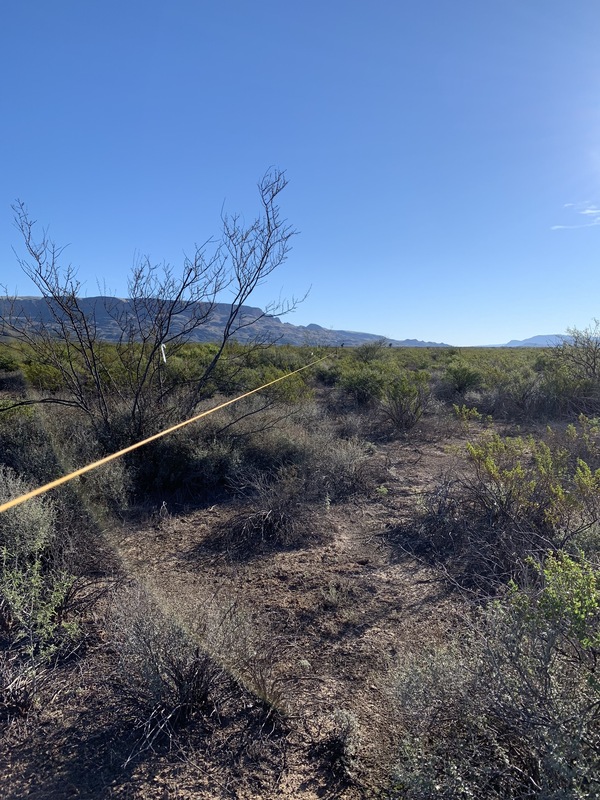 Creosote, also known as Cresotebush and Greasewood, is one of the most common shrubs in the Trans-Pecos. 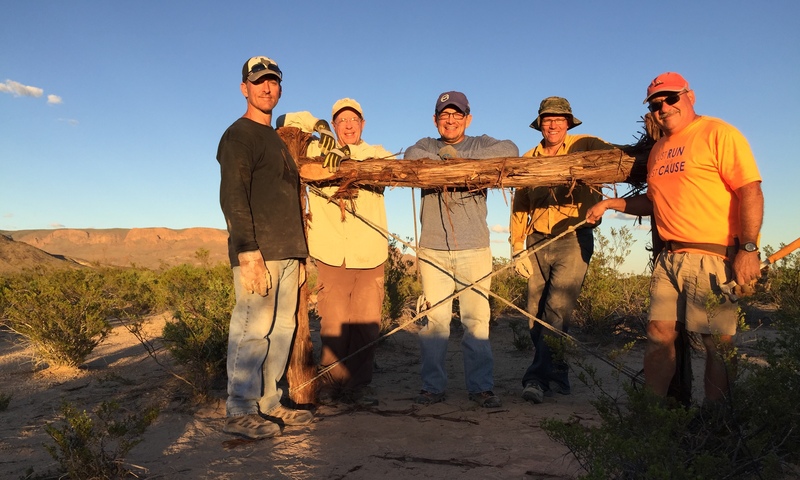 This rugged survivor has earned its place in the Chihuahuan Desert landscape. 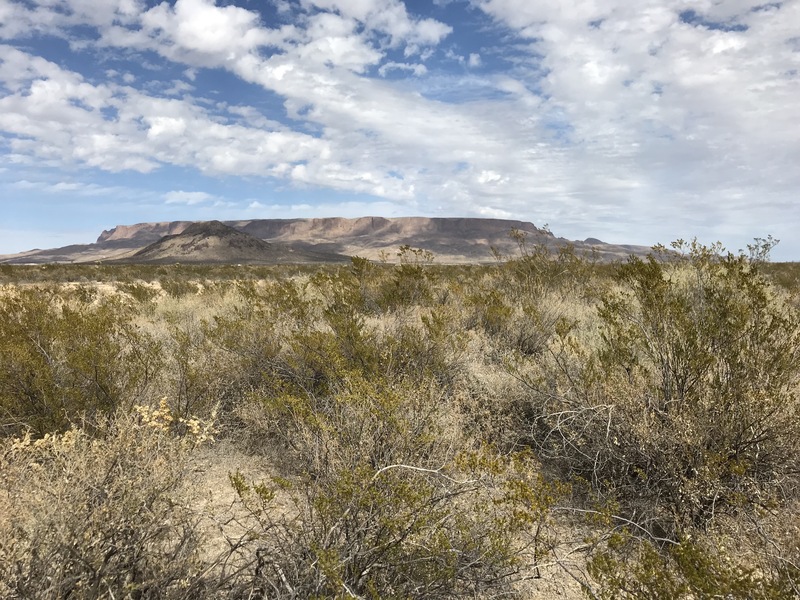 Early Spanish explorers called it gobernadora (governess), likely a reference to the shrub’s dominance throughout the desert. To say that creosote is a hardy shrub is understating its ruggedness and determination to live. Twenty of twenty-one creosote shrubs growing at the center of the 1962 thermonuclear explosion at the Yucca Flat test site in Nevada re-sprouted ten years after the blast. If the world ever gets into a nuclear free-for-all, creosote and roaches may be the only survivors. The leaves of the shrub are covered with a sticky and smelly resin which early settlers likened to the smell of creosote, a derivative of wood tar. Hence, the name. This tar-like odor is especially strong after a rain or when the leaves are crushed. These foul-tasting resins also make the creosote of little use to man or beast in the way of foodstuffs. Several species of insects — including beetles, praying mantises, and grasshoppers — depend on the creosote for their survival. 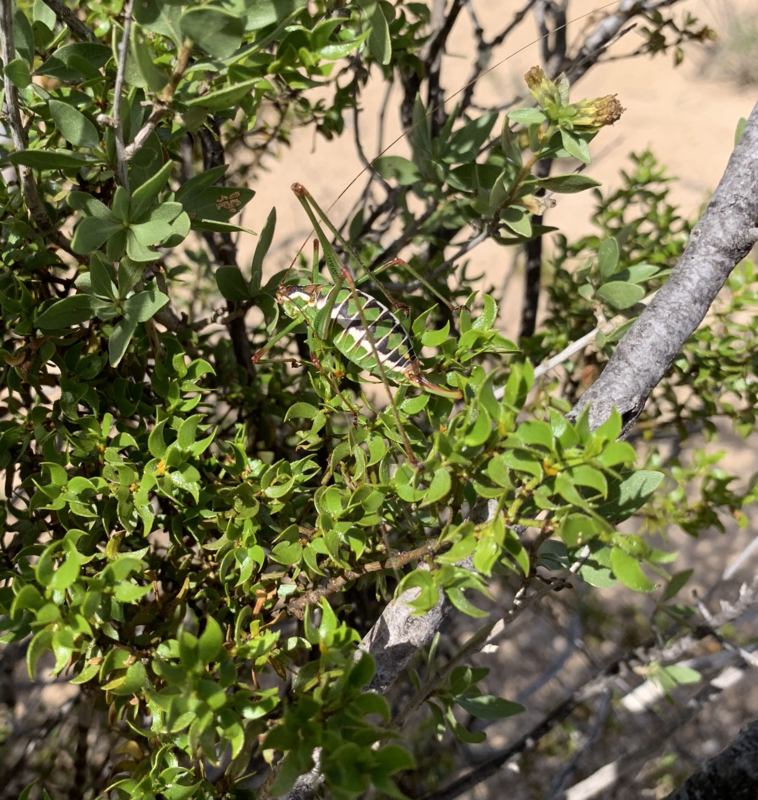 Some of these insects, like the creosote bush katydid, are monophagous. That’s a scientific way of saying that they feed only on this plant. 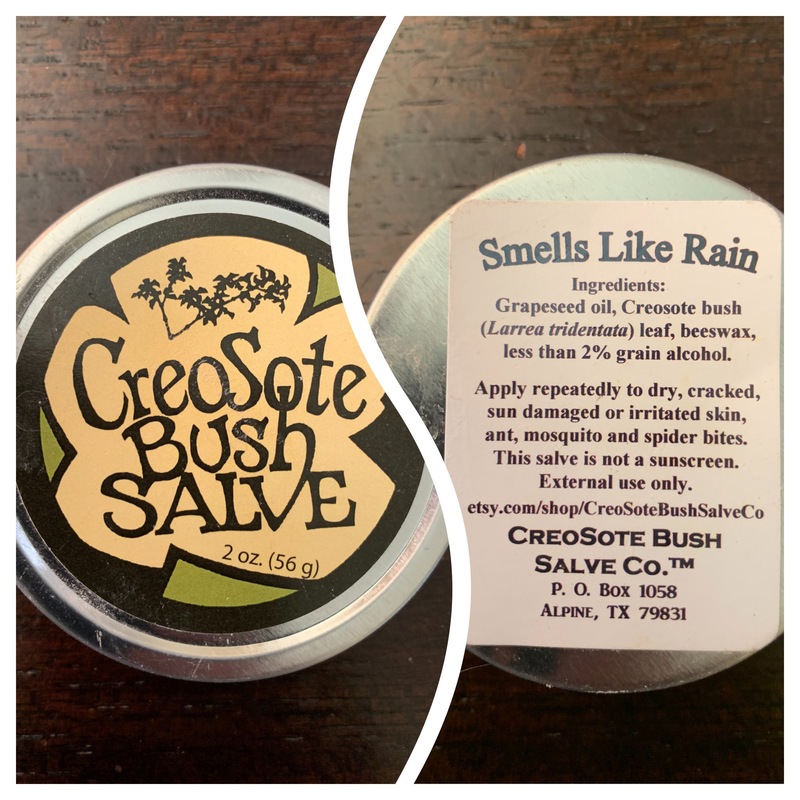 Mexicans and Native Americans who have lived in regions where creosote is endemic discovered medicinal value in the creosote. 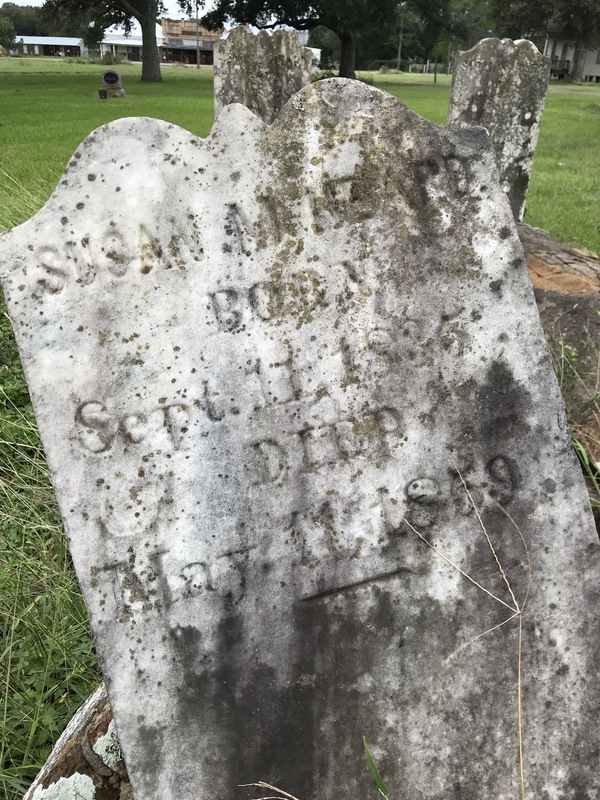 They developed an antiseptic to treat everything from arthritis to saddle sores, minor cuts and bruises, and bites on both themselves and their animals. 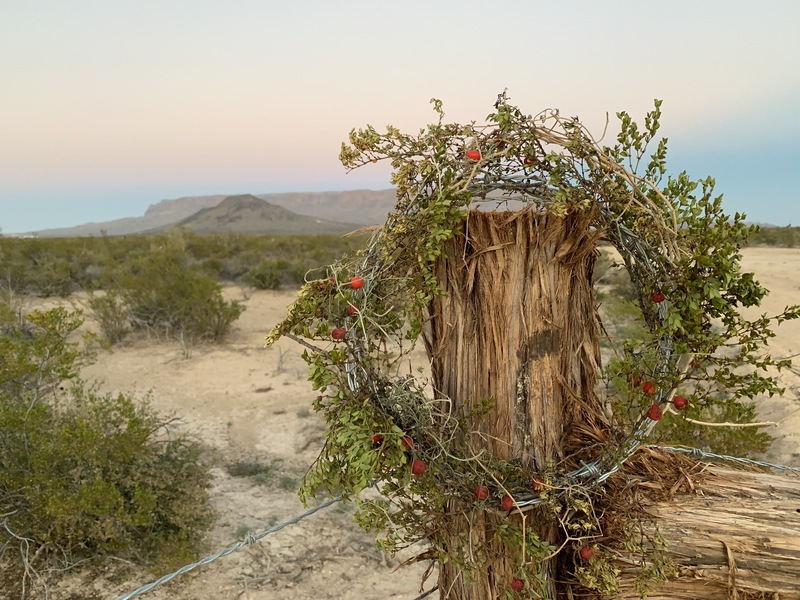 According to Native American and Hispanic folk traditions, tea made from creosote leaves were widely used to treat colds, stomach problems, gas pains, and more. In 1962, the U.S. Food and Drug Administration issued a warning against the internal use of creosote-based products. 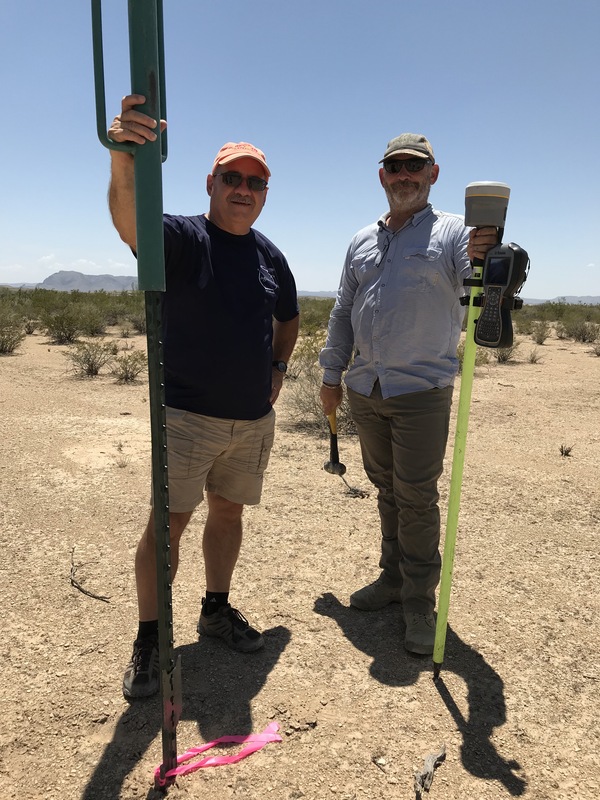 Desert dwellers also found other uses for creosote. Hispanics of the Big Bend region used the roots of the shrub to dye blankets brown. The Apache applied the plant’s sticky gum to wounds to stop the bleeding. Southwestern tribes made a glue from the sticky substance that they used to mend pottery and to waterproof baskets. And, because the resinous leaves ignite easily, they are useful for starting cooking fires. 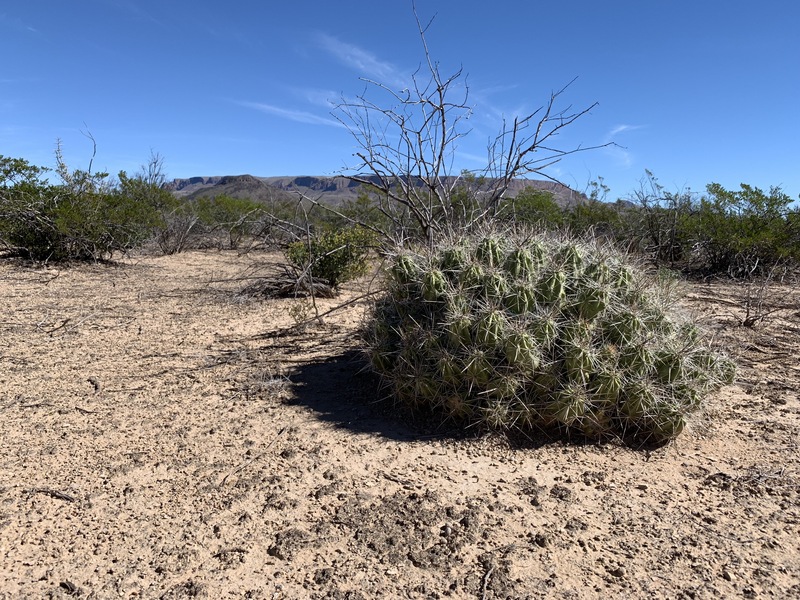 Desert survival is not easy for humans, animals, or plants. 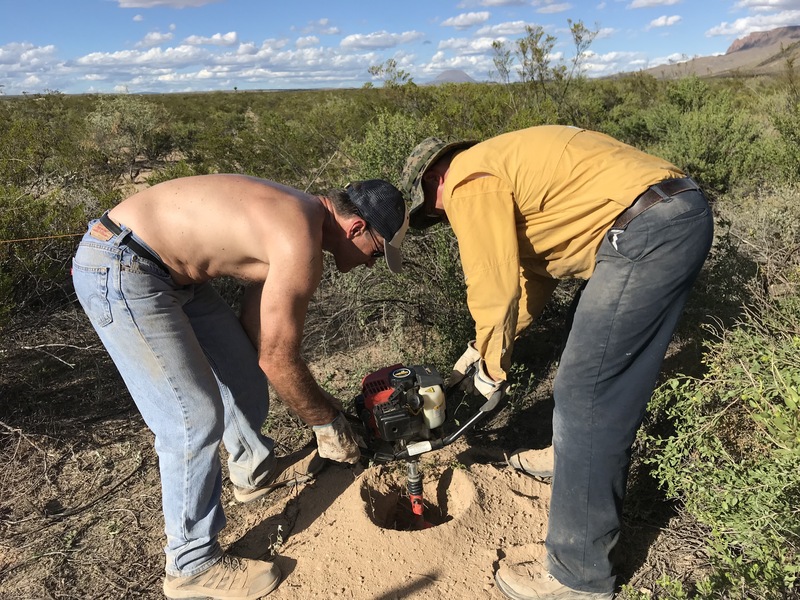 So, the next time you are in Far West Texas and see creosote shrubs carpeting the landscape all the way to the horizon, reflect for a minute on what it takes to make it in such a tough environment. Although not the prettiest bush on the landscape, creosote is worthy of a little respect. 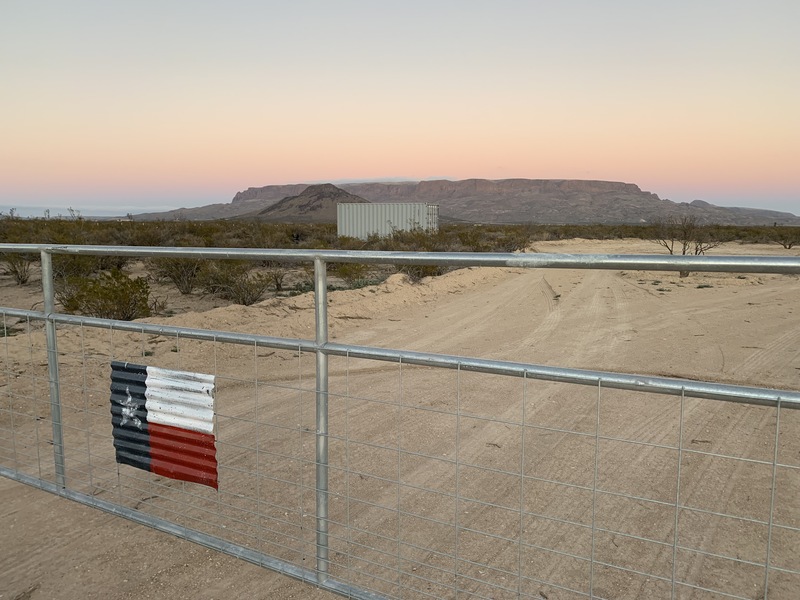 In March of this year, my wife Cheryl and I purchased a few acres of land in the Big Bend Valley section of Terlingua Ranch. We named our little place Dos Arbolitos. 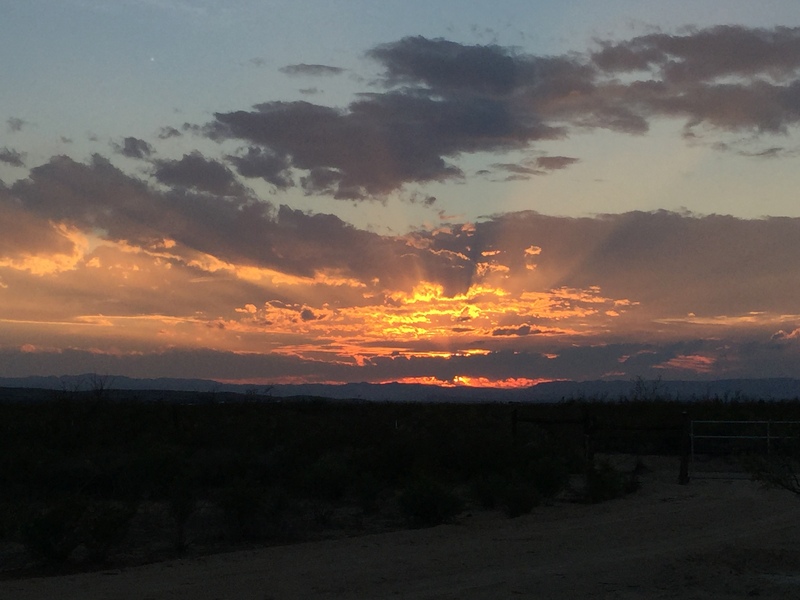 We feel fortunate to own a little piece of the Chihuahuan Desert and all of the sky that comes with it free of charge. 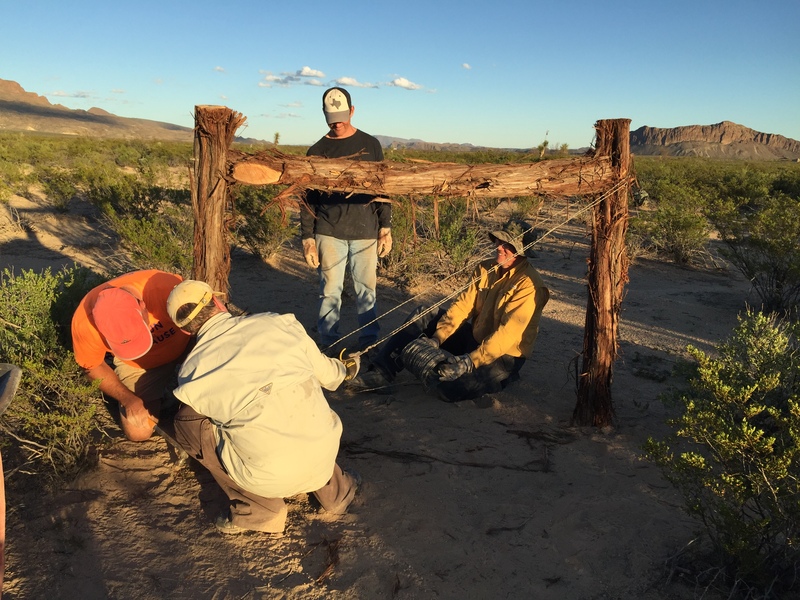 Last month, a few of my buddies joined me to start fencing Dos Arbolitos. 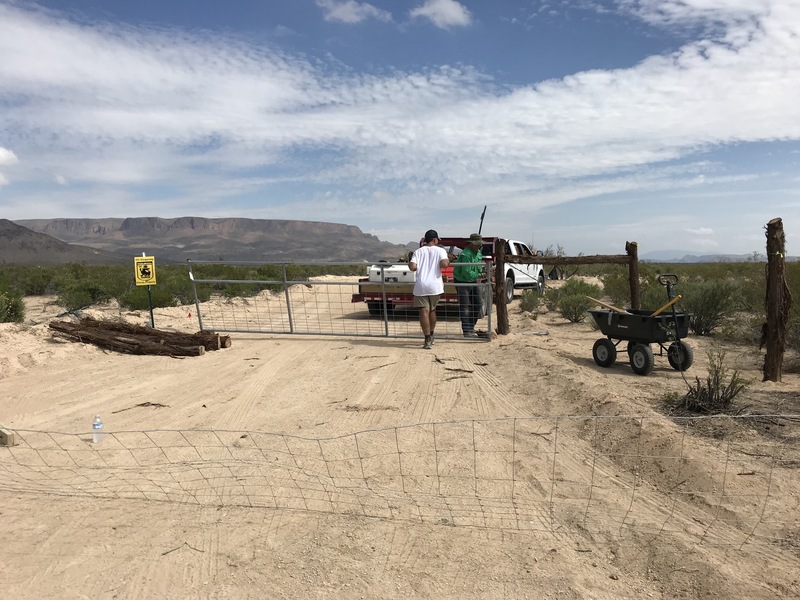 We were able to complete the front section of fence, including the gate. We also set and tensioned all of the corner posts and added bracing at the midway points of each property line. 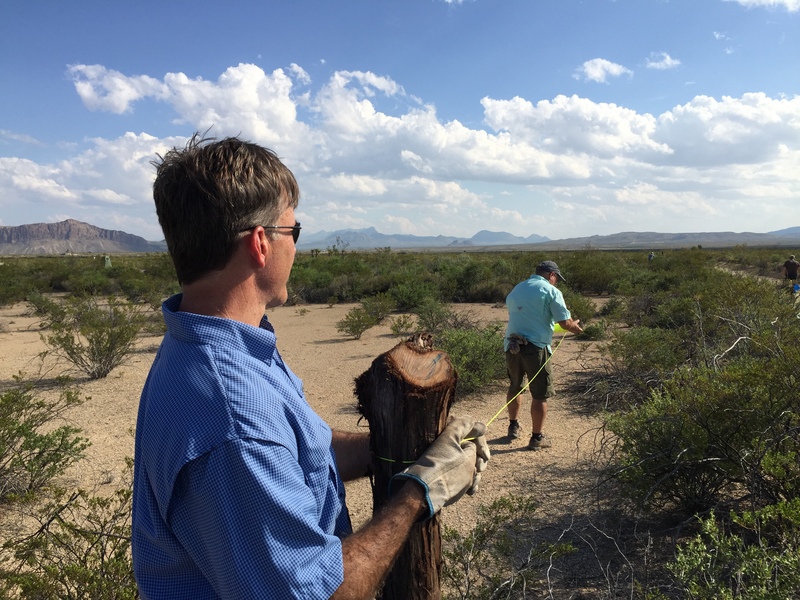 Last week, I returned alone to Dos Arbolitos to camp out and to clear the brush along our property lines. This next step had to be completed in order to make it possible to finish the fencing in the coming weeks. 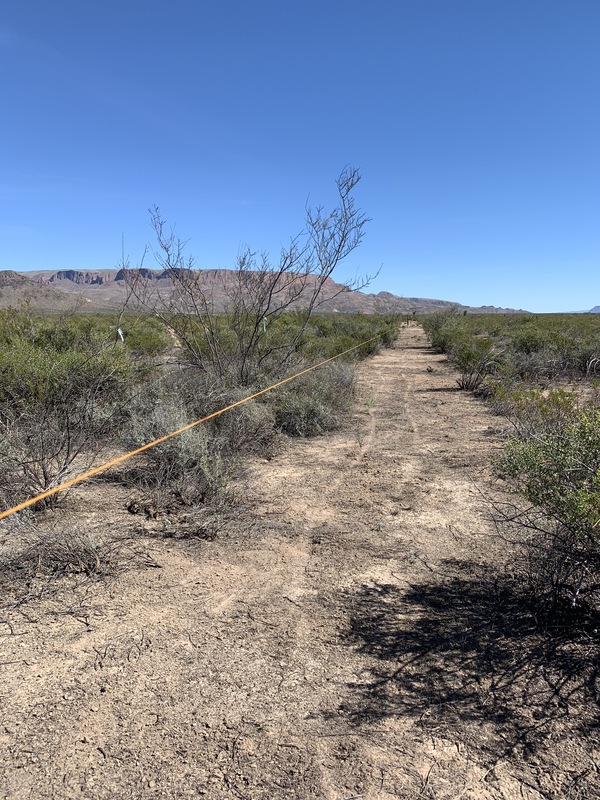 With the boundary lines clear, we will have an easier time of setting the cedar and t-posts and then stretching and securing the welded wire fencing. I don’t mind admitting that clearing brush is hard, especially when working alone. The before and after pics tell the story. The scratches on my body tell the rest of the story. And the feeling of satisfaction in my heart completes the story. So happy to have this phase finished. 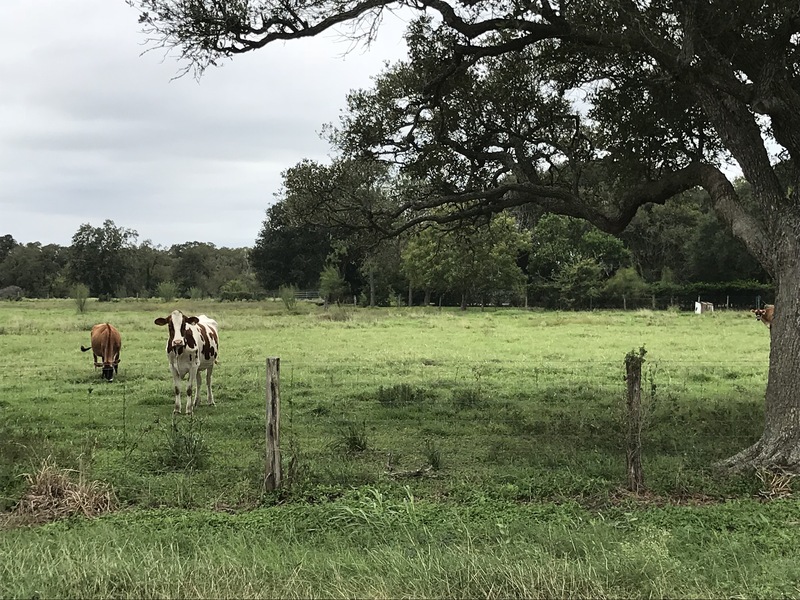 One thing I am learning is that even though we have a small piece of property, there is always something that needs doing. I find myself thinking about the next project when my brain has a minute to slow down or when I go to bed at night. There is so much to think about and so much I am learning. At sixty-two, I could have found an easier path. Instead, I am glad that I have something hard to do, something that challenges me to learn how to do things I have never done before. In my spare time I find myself reading about solar power and water catchment and desert flora and about all kinds of off-grid stuff. 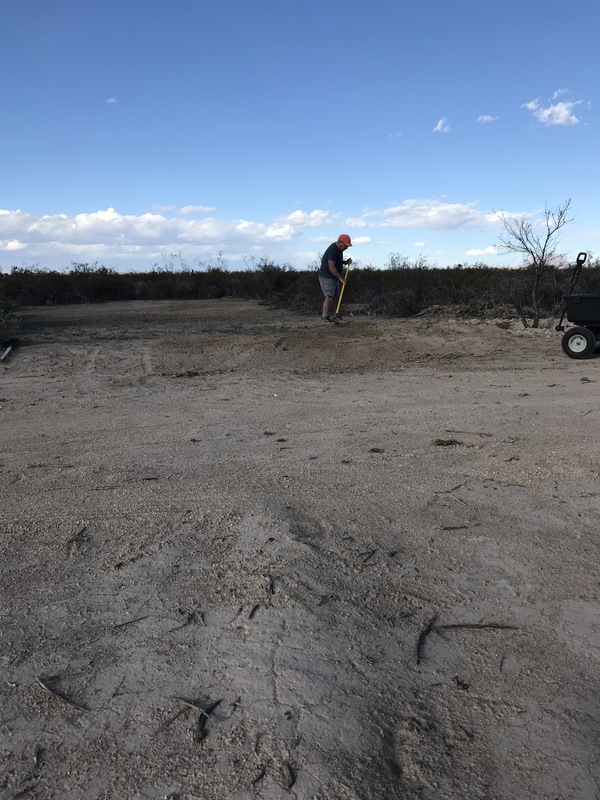 The process of turning our dream of a desert getaway into reality is happening slowly but surely — a nickel and dime at a time. 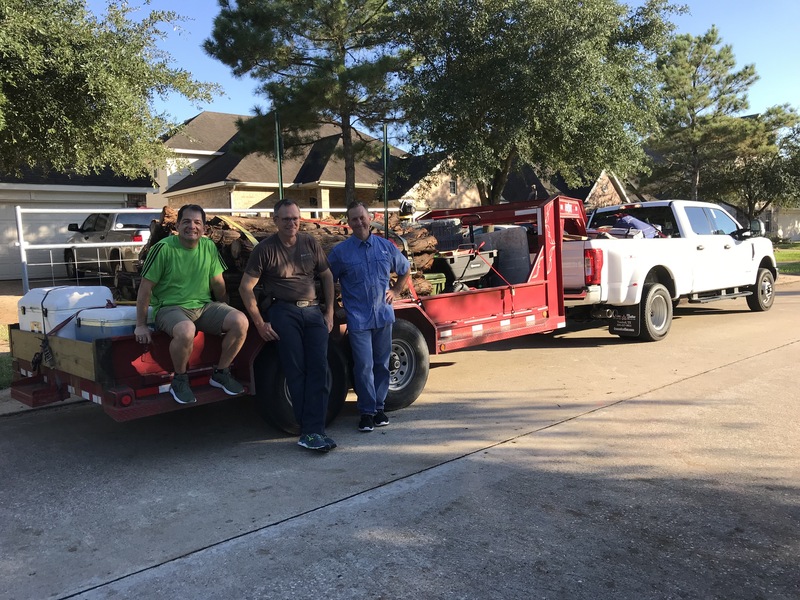 Dos Arbolitos is more than 600-miles from our comfortable suburban home in Katy. It’s a long haul to get there. We know it’s going to take lots of trips between dream and reality. Every trip requires lots of planning. 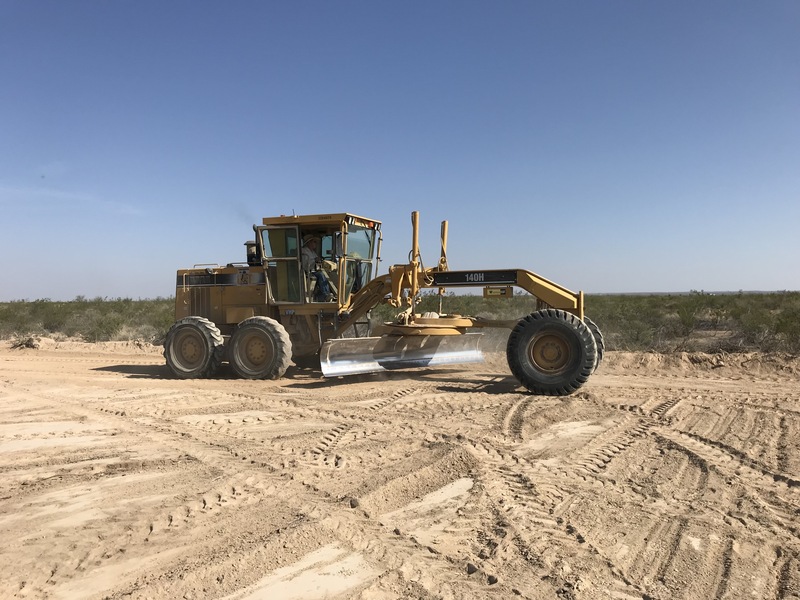 We have to make sure we have everything we need in order to complete a project because forgetting something means having to drive a long way to the nearest town for supplies. We make and check our supply lists at least twice. One thing is certain, we are enjoying the journey. It’s fun to dream and to dream again — to draw up plans, rethink them, and then refine and draw them again. 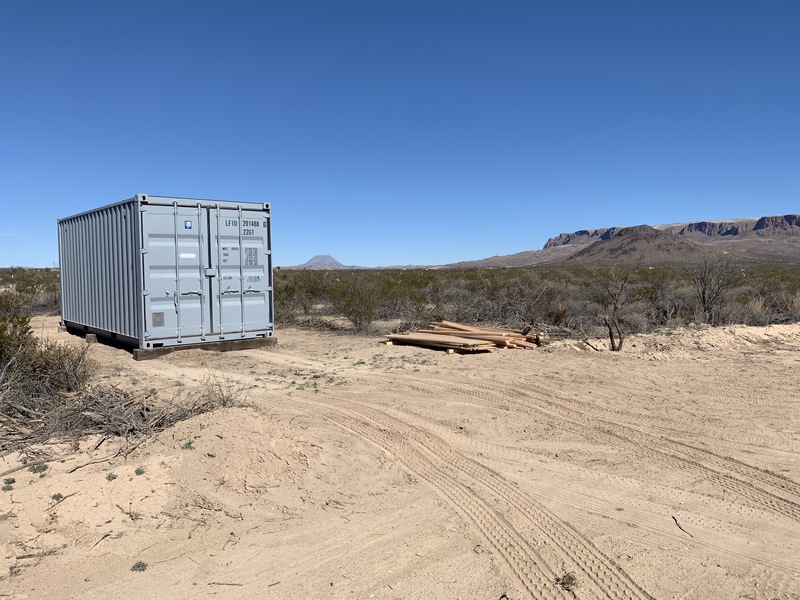 Every trip to Dos Arbolitos gets us a step closer to the day we will have our little place where we can get away to drink in the quiet, breathe in the refreshing desert air, and take in the spectacular views. Thanks for following our adventure of making our little dream come true. 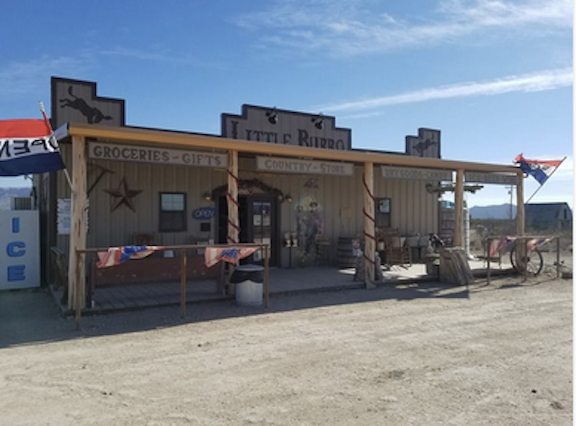 Standing behind the counter of the Little Burro Country Store located a few miles north of Terlingua, Betty greeted me with a friendly Texas howdy as I walked in. 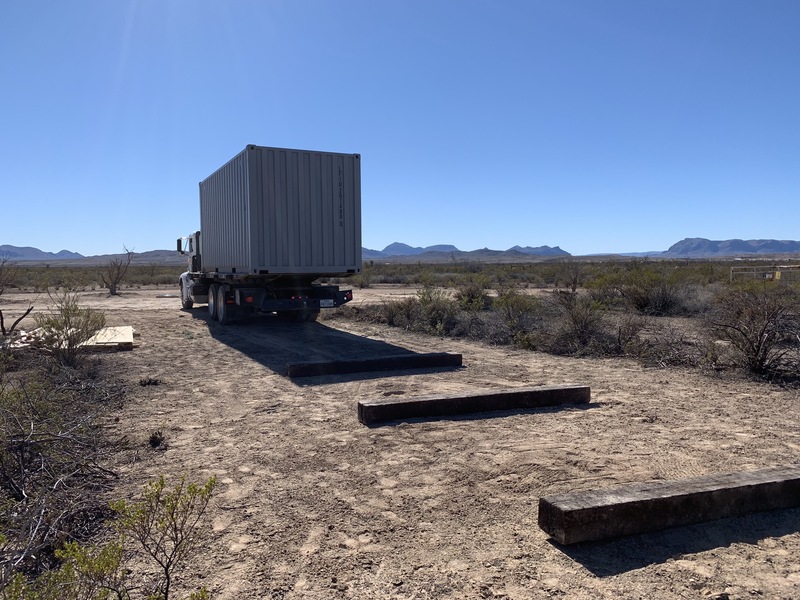 This little supply depot is where we turn east off of Highway 118 to get to Dos Arbolitos, our little place in the Big Bend Valley section of Terlingua Ranch. I asked Betty if she had Texas roots. She did not. Curious, I asked how she ended up in one of the most remote parts of the Lone Star State if not the world. Without missing a beat she replied rather matter-of-factly, “My husband and I tossed a coin!” That was not what I expected to hear. I wanted to know more. Betty explained the she and her husband were looking for a change and considered moving to either Alaska or the Big Bend of Texas. The rest is history. Big Bend won the coin toss and they have been here ever since — with no regrets. 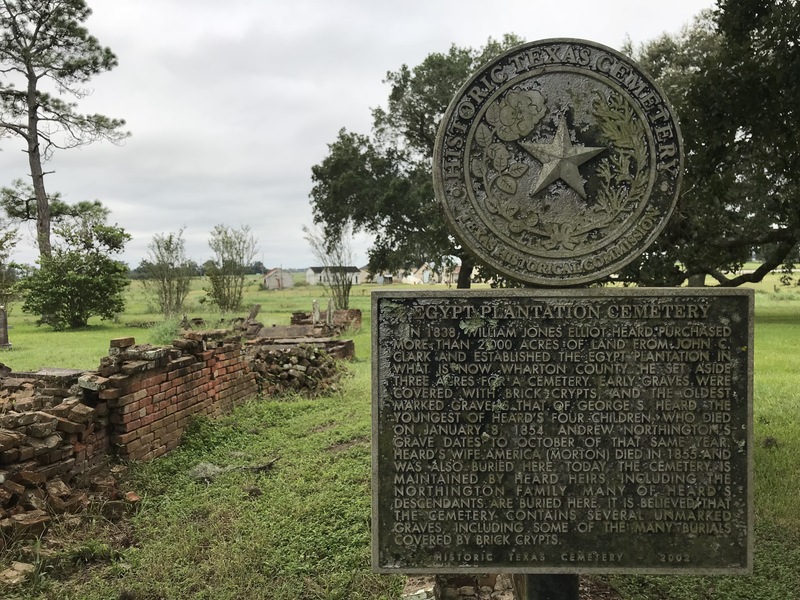 There is a lot that is hard to put into words about this wide part of Texas. 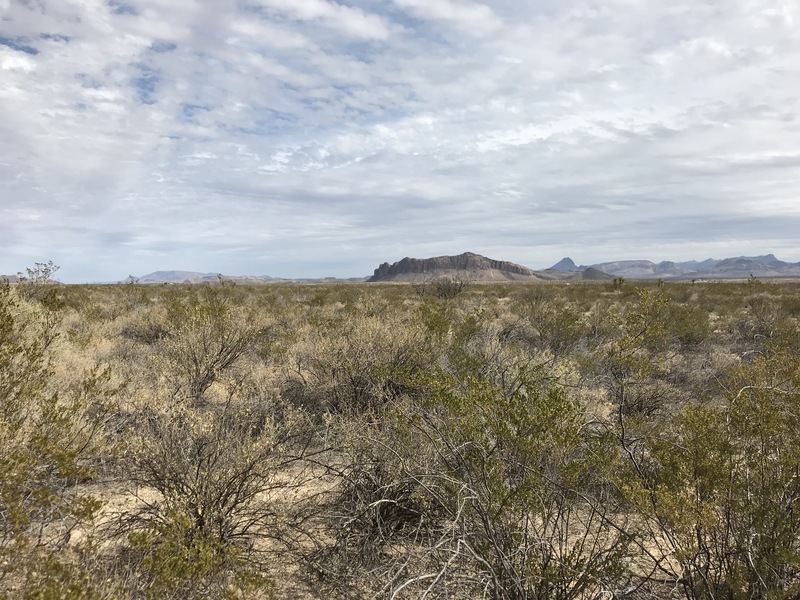 And while the folks who call the Chihuahuan Desert home all have a story about how they ended up here, they all share one thing in common — a hard to explain love for wide open spaces, vast skies, and views that just make your heart feel good. 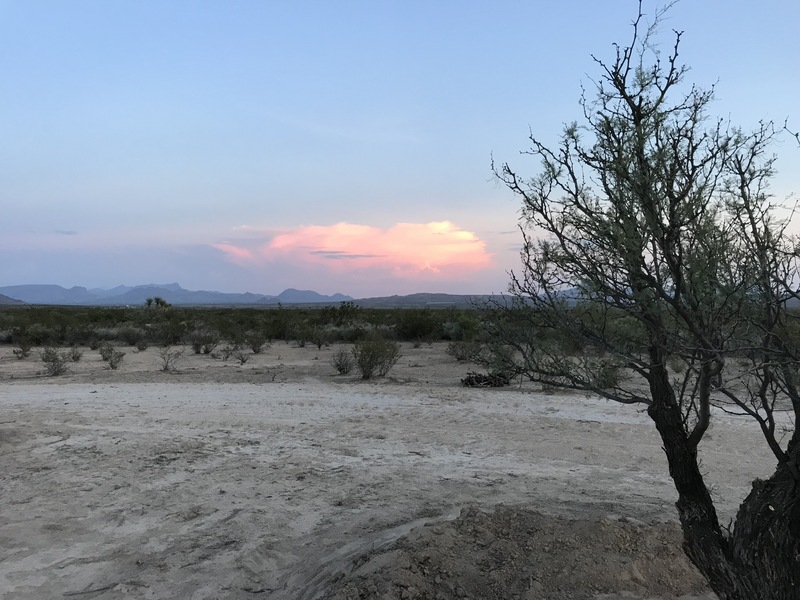 The views, among other things, are what led Cheryl and me to look in this direction for a little plot of desert on which to build an off-grid get-away. And while our place is not at all big by Big Bend standards, it does give us access to million dollar vistas. 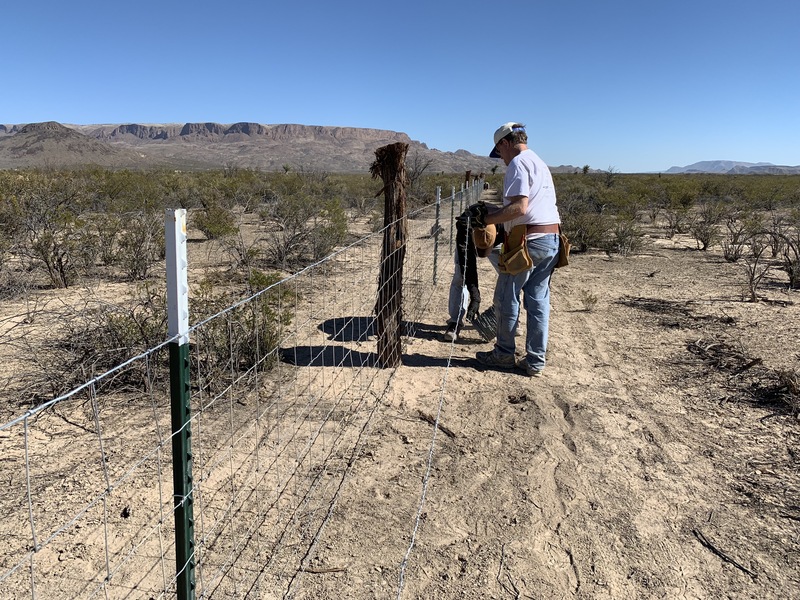 This past week, a few friends and I made the long trek from Katy to Dos Arbolitos to start the first phase of our fencing project. The fence is not designed to keep anything in but rather to keep curious and possibly pesky critters on the other side. And the fence will be low-profile so as to not obstruct any views. This whole fencing thing is new to me which is what really got me excited. I loved learning to do something I have never done before. And that is exactly what happened. 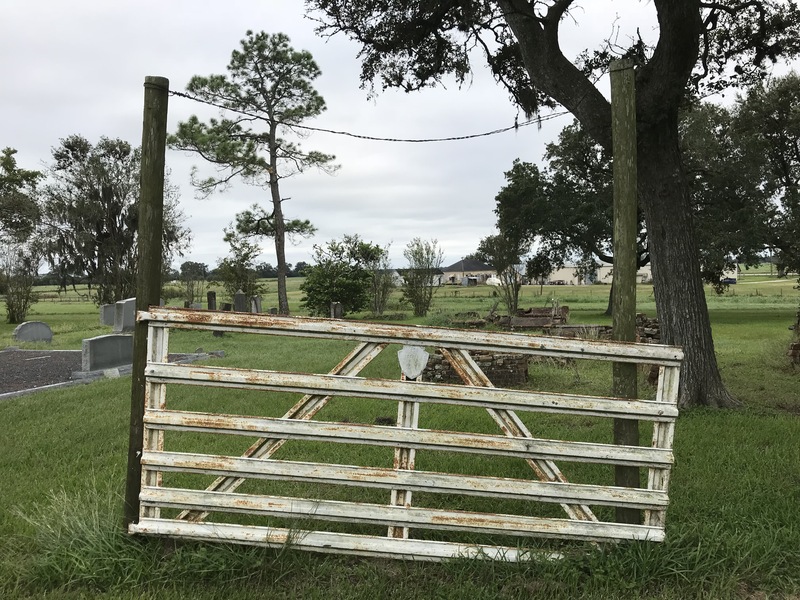 My friends Selim, Mike, Phillip and I worked under the guidance of our friend James － who actually knows what he is doing when it comes to building fences. We worked some really long hours to get the job done and together we accomplished what we set out to do. The best part of this adventure was sharing the experience with friends. We camped on location, set up a bathroom and shower tent, cooked under a canopy, worked hard all day, and enjoyed some of the most spectacular sunsets any of us have ever seen. And the night skies — beyond beautiful! 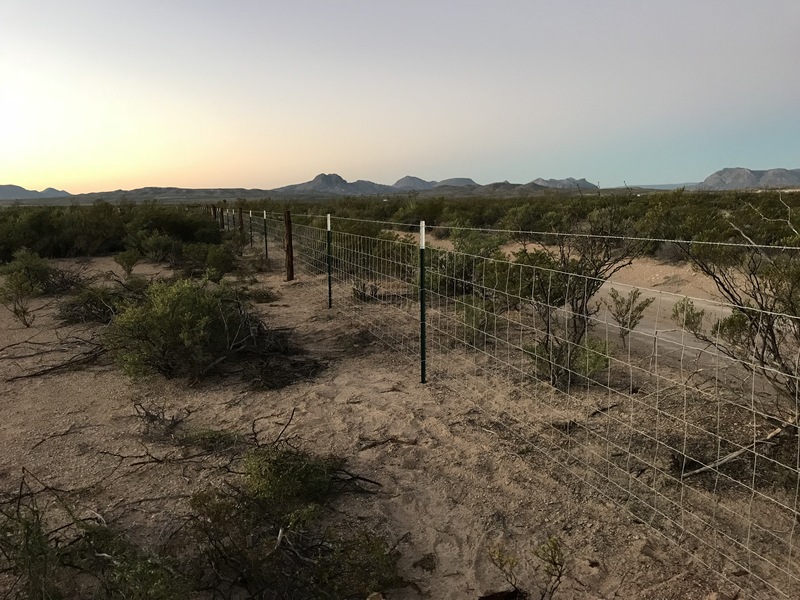 After a couple of days of clearing brush, digging post holes, tensioning corners, driving t-posts, hanging a gate, and stretching welded wire, we completed phase one of our fencing project. I estimate it will take about three to five more trips to finish the work. But, no matter. Cheryl and I are absolutely enjoying the journey as our dream of a little getaway slowly blossoms into reality — one step and a few dollars at a time. 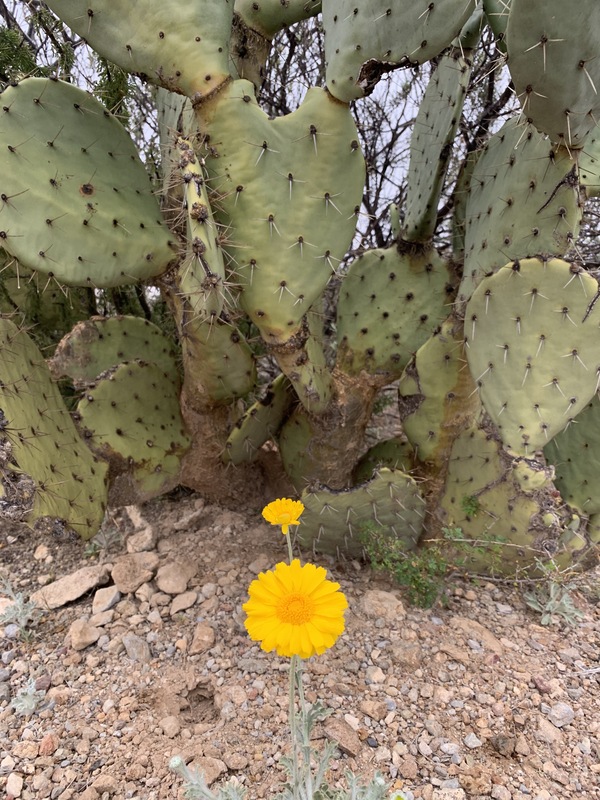 We understand that the Chihuahuan Desert is not for everybody, but it is a special place for us and made even more so because of the kindness of friends. 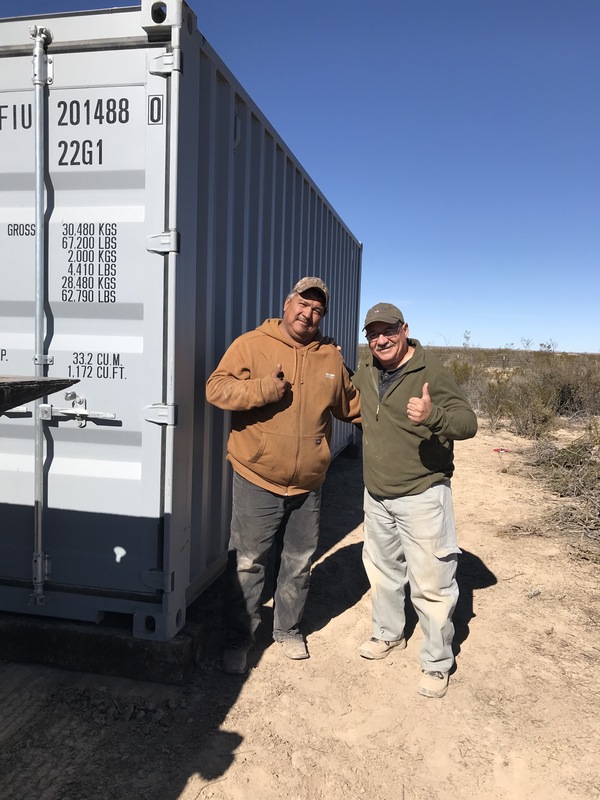 I will continue to chronicle our progress at Dos Arbolitos. Thanks for following our adventure.